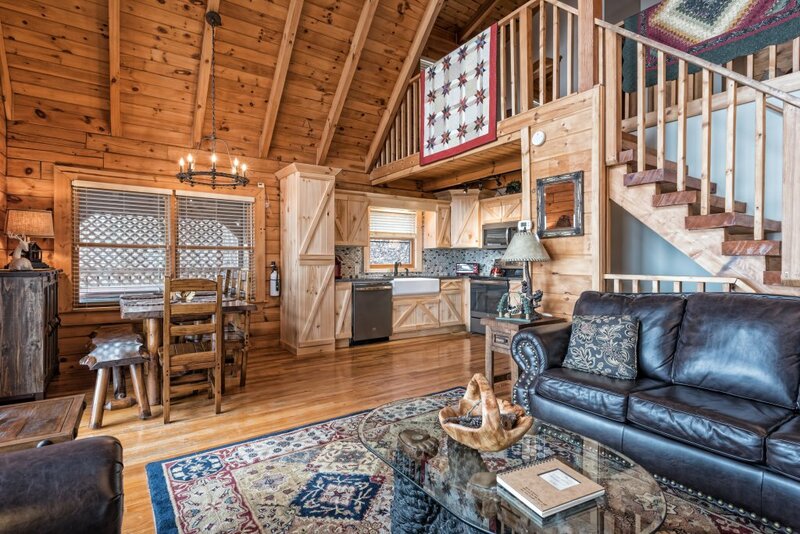 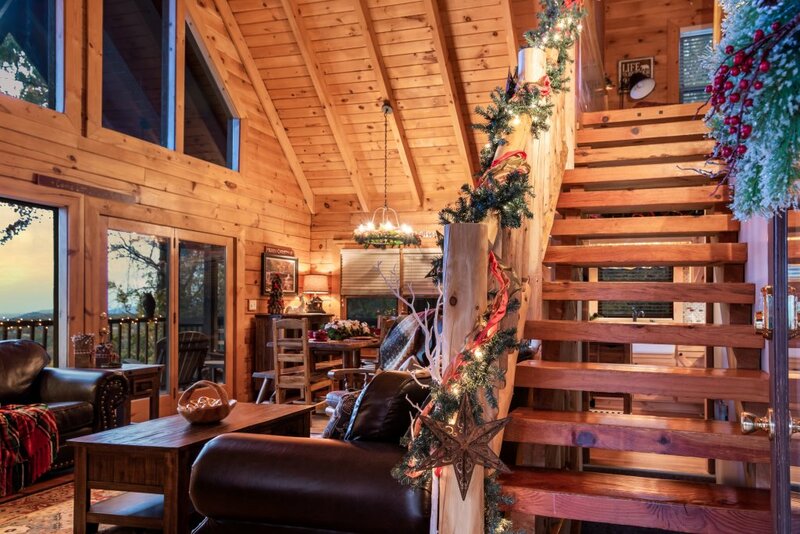 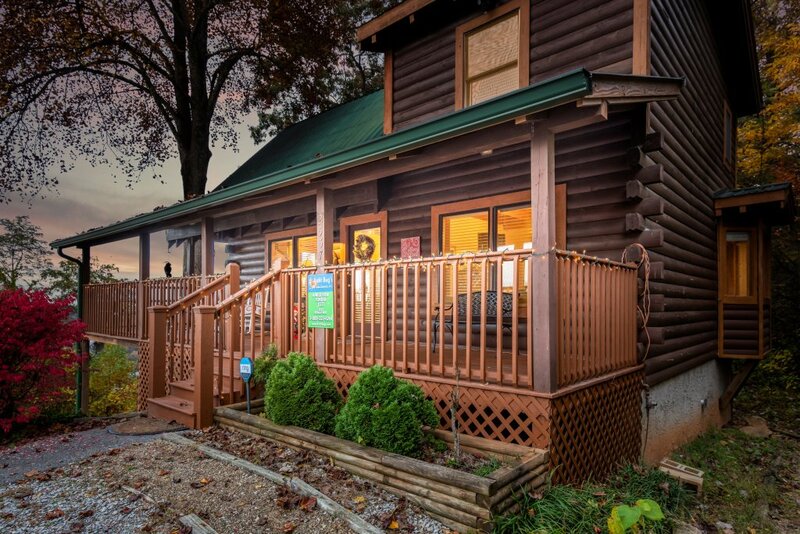 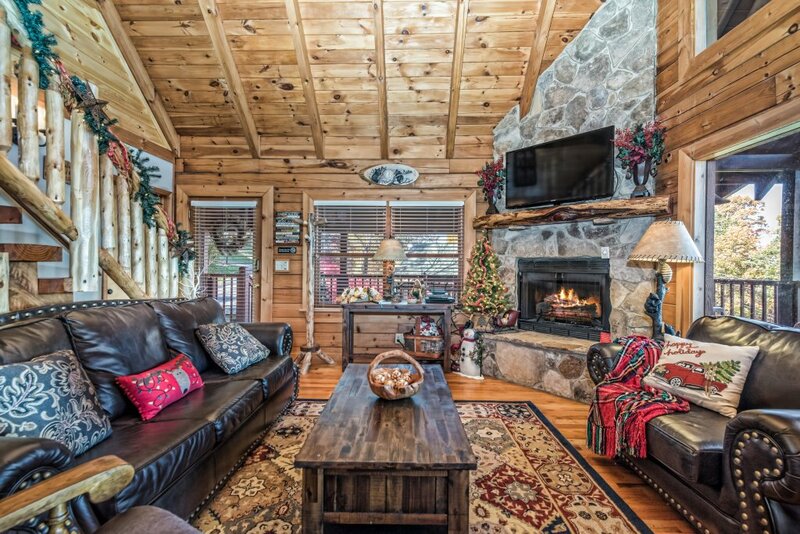 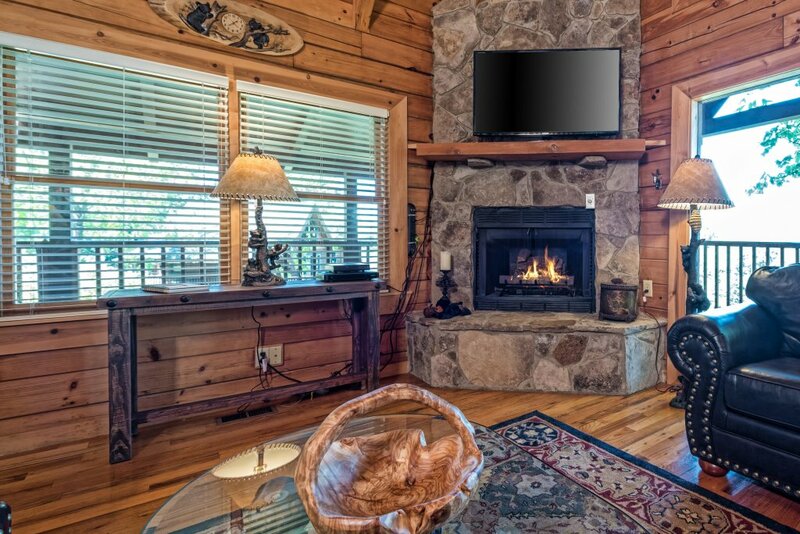 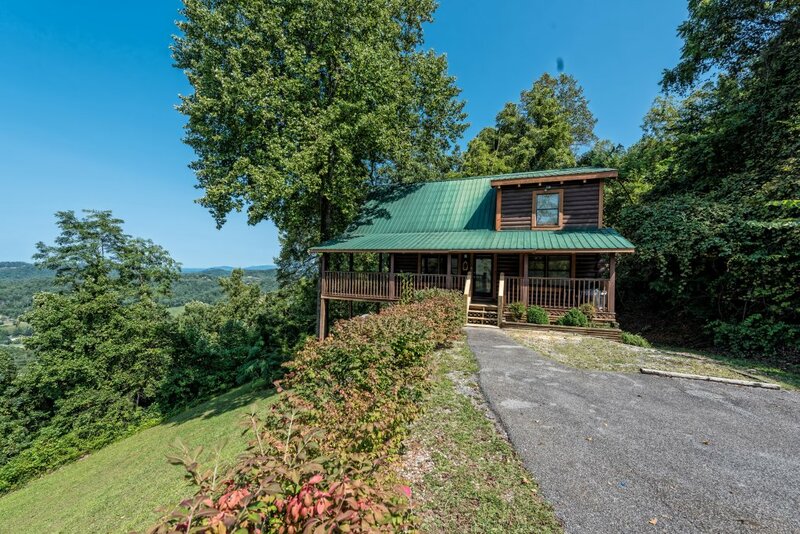 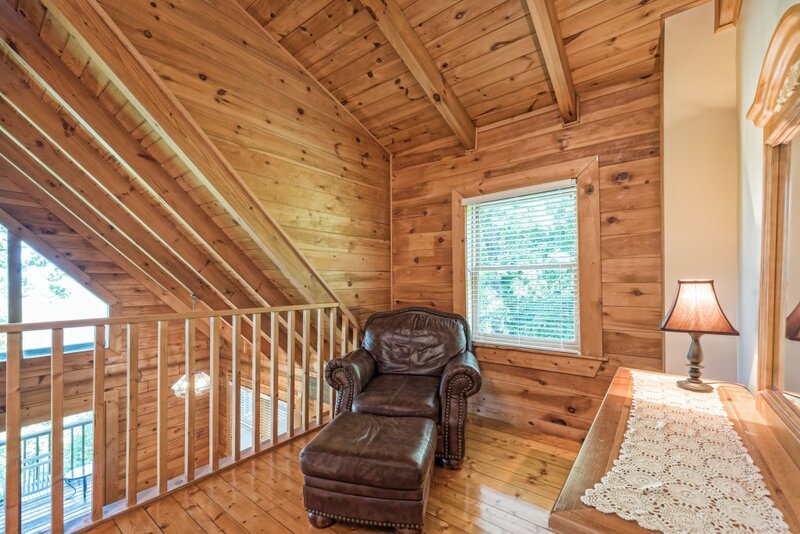 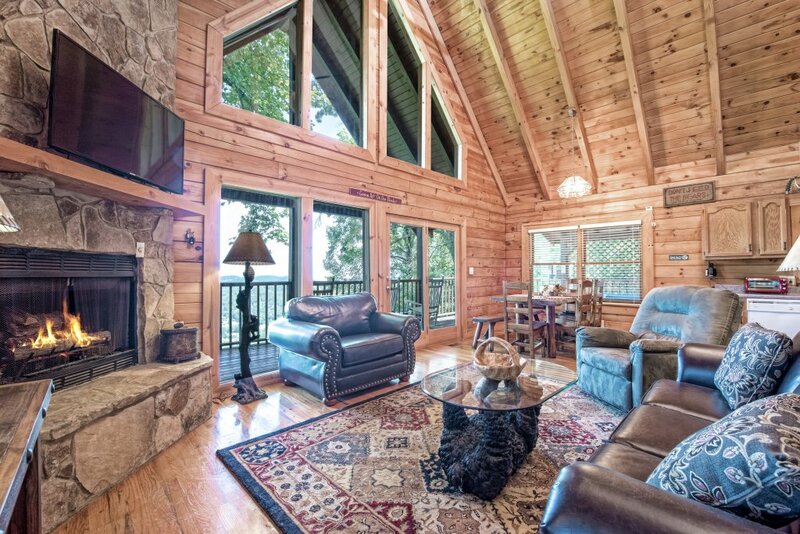 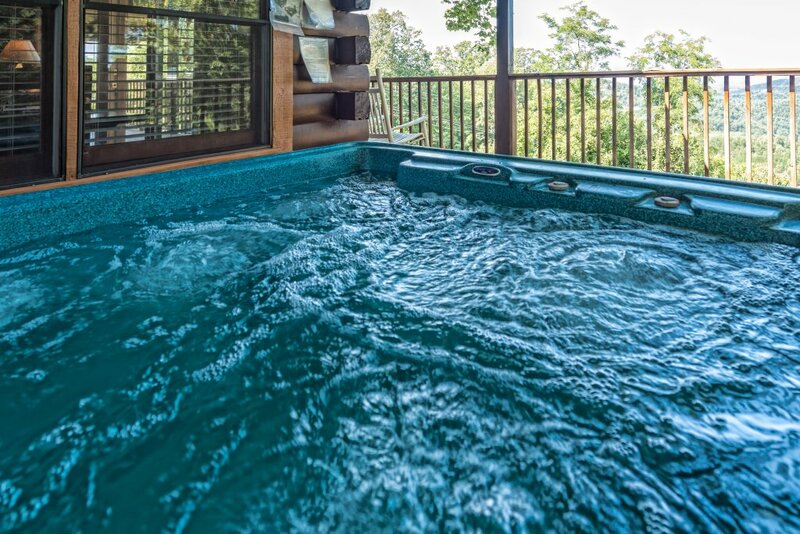 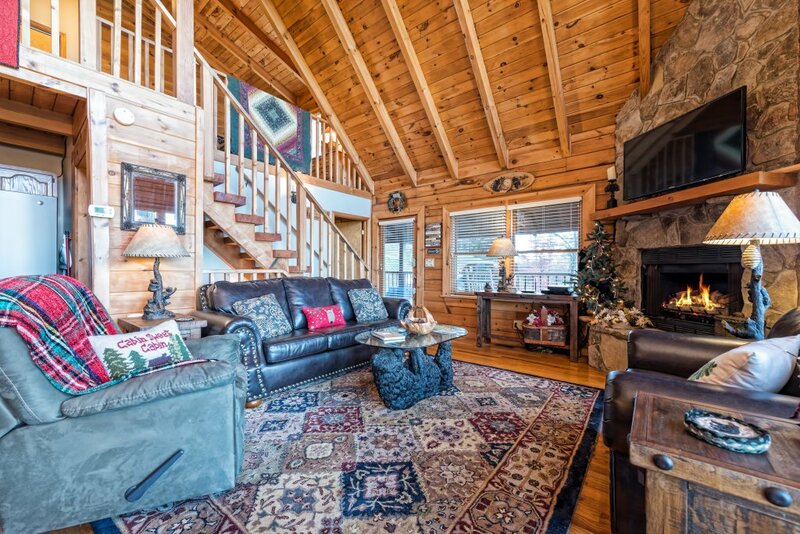 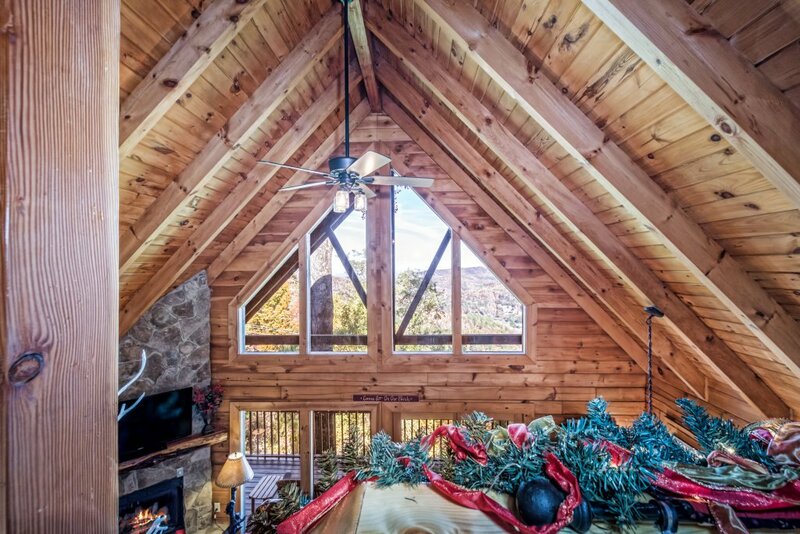 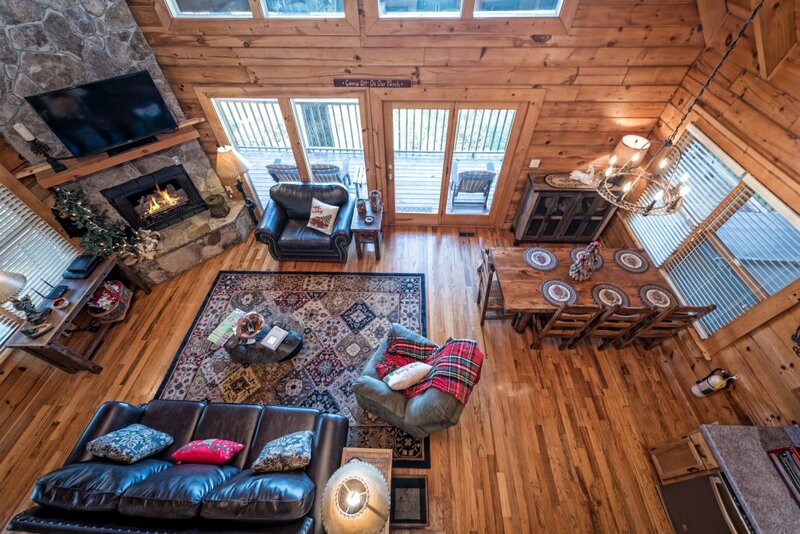 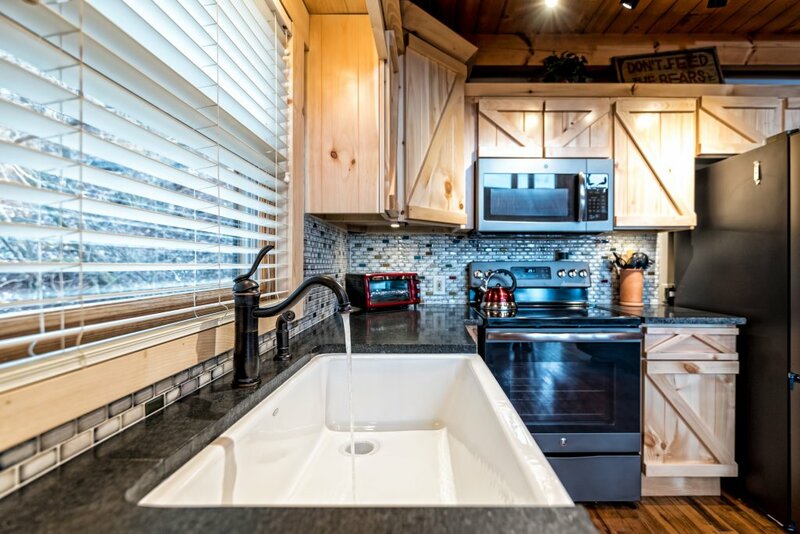 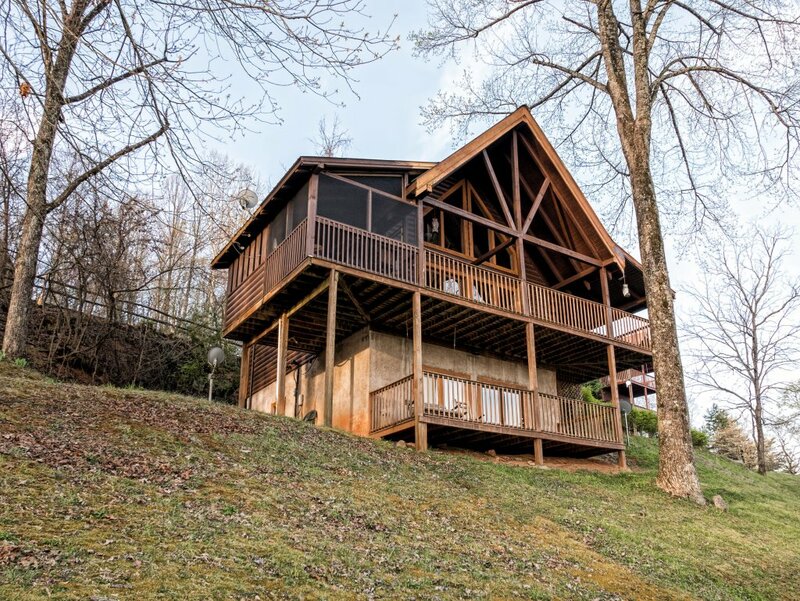 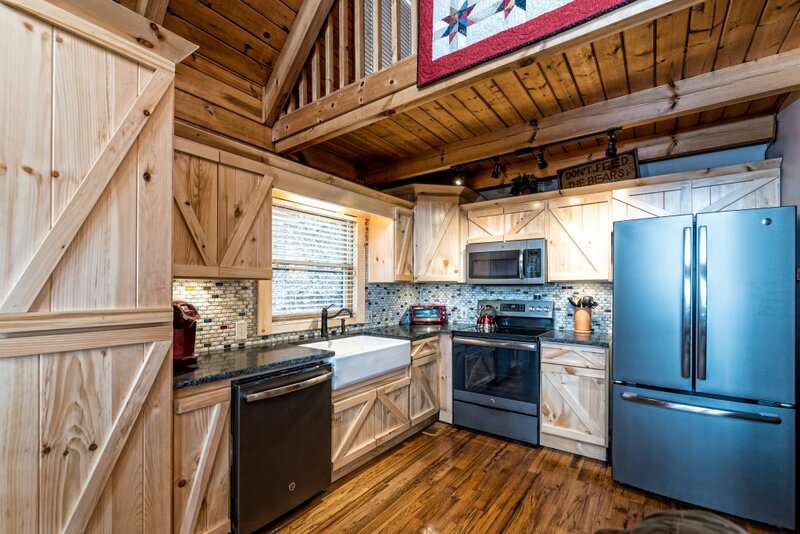 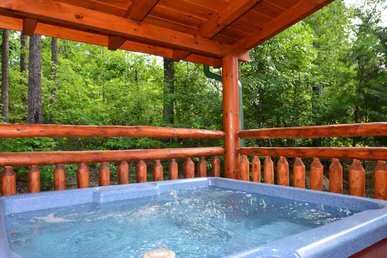 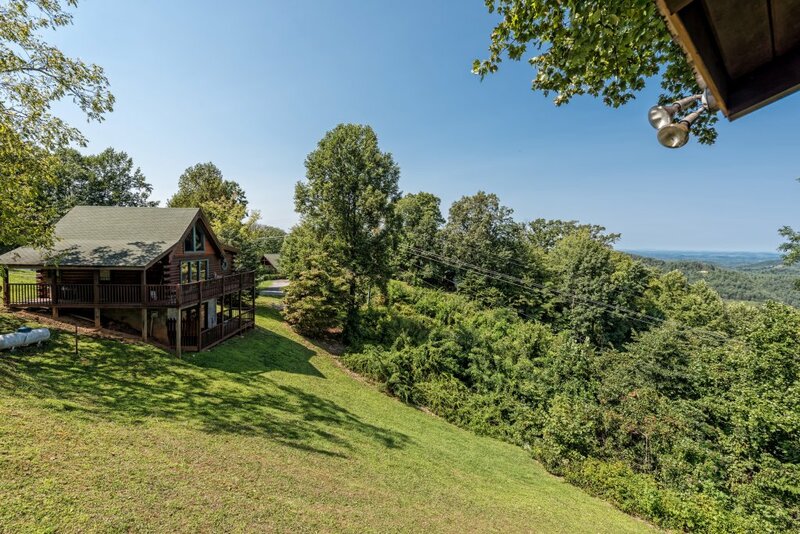 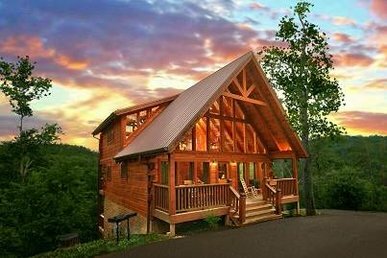 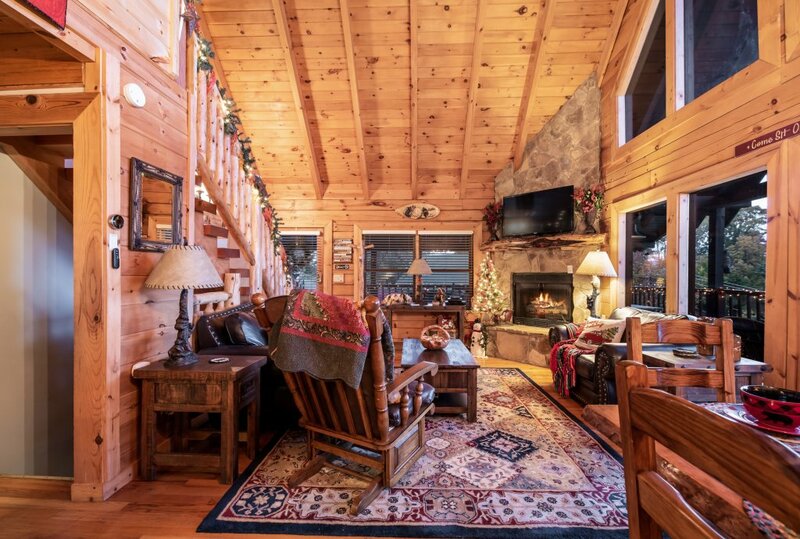 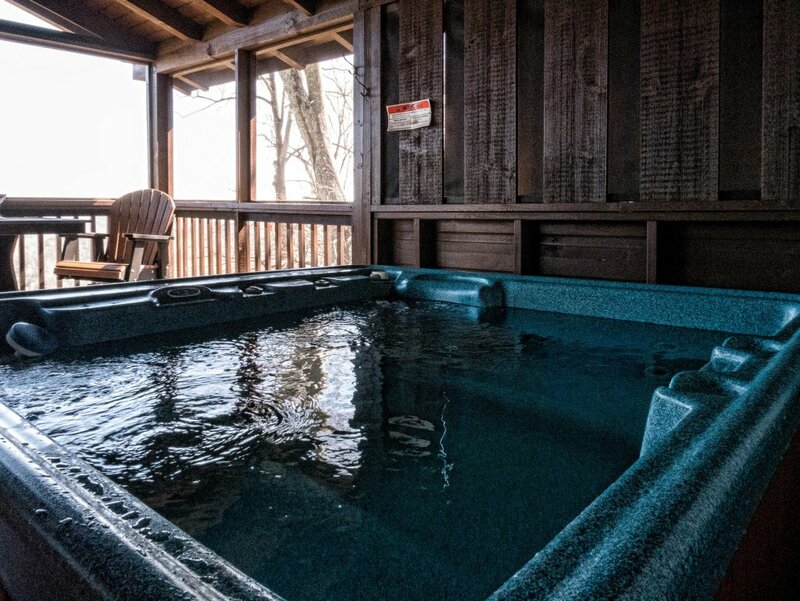 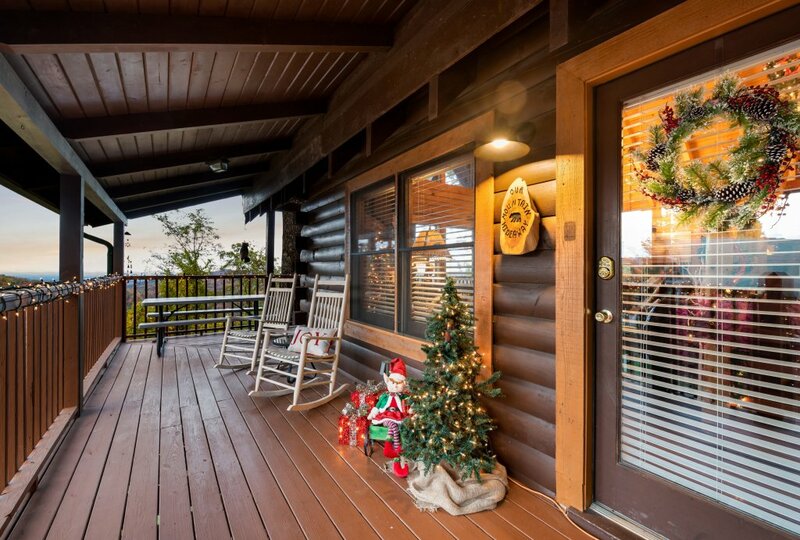 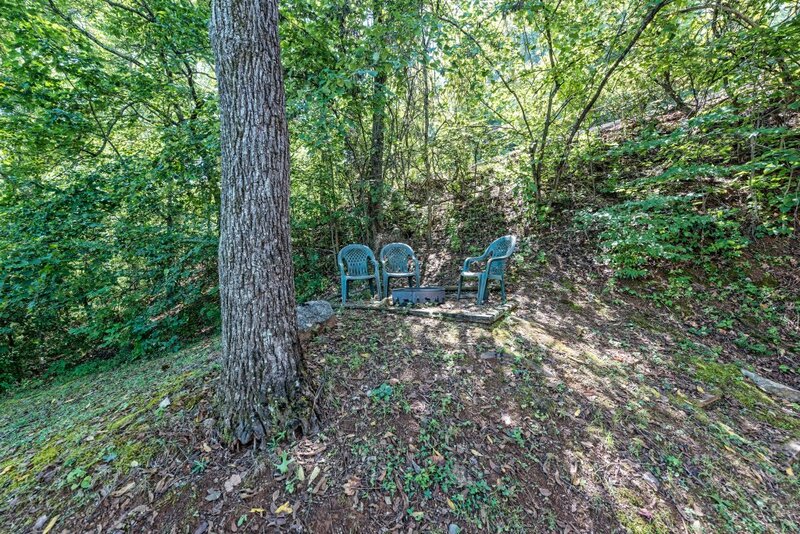 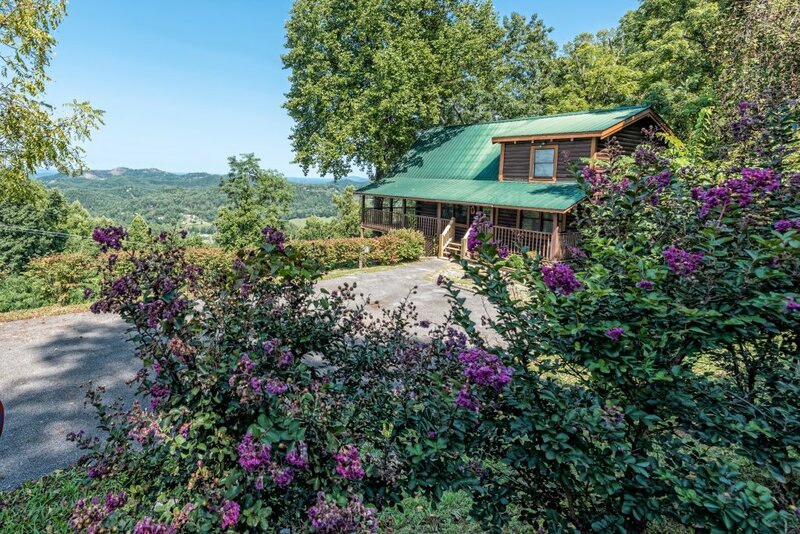 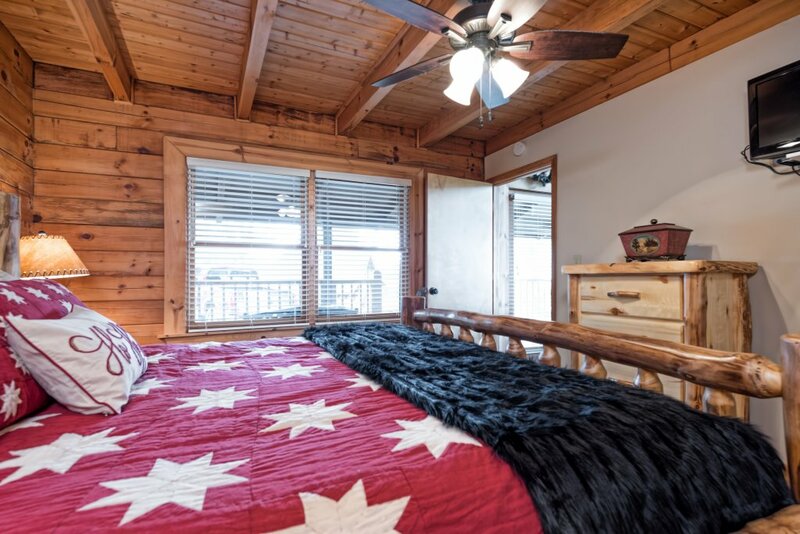 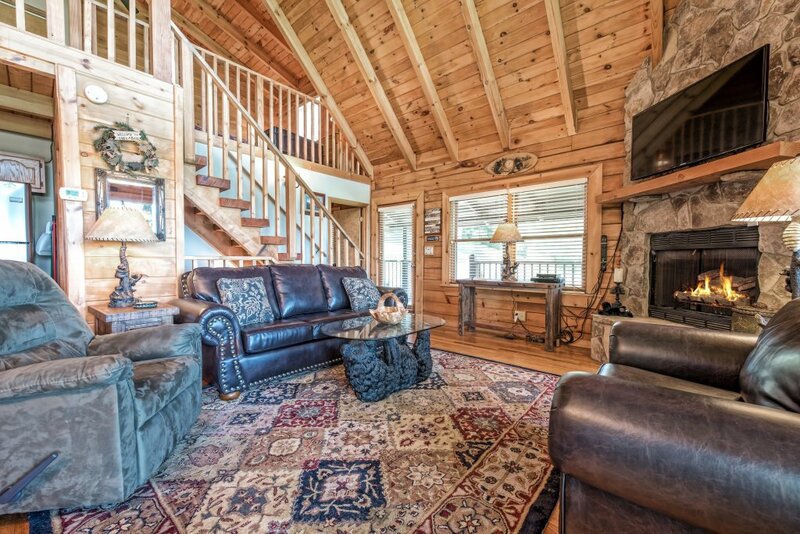 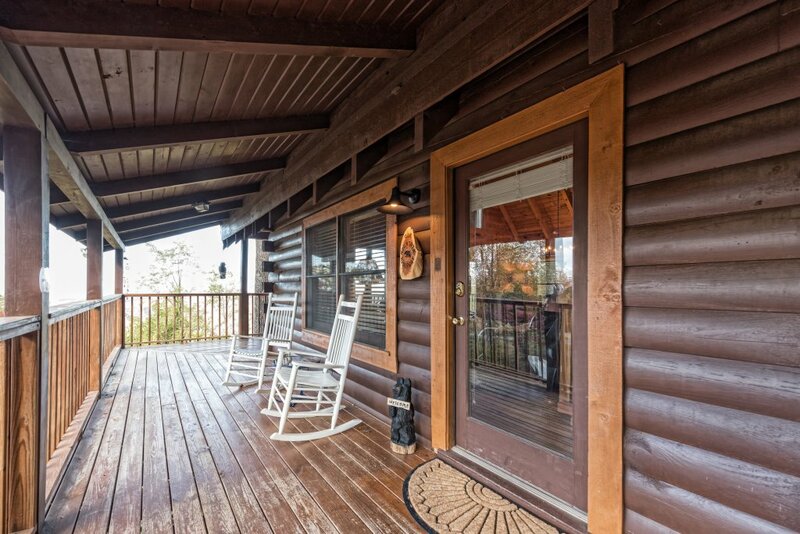 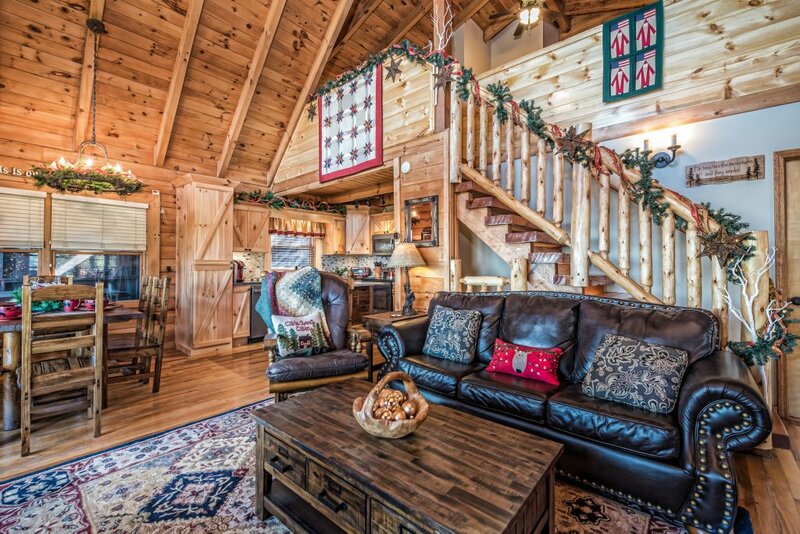 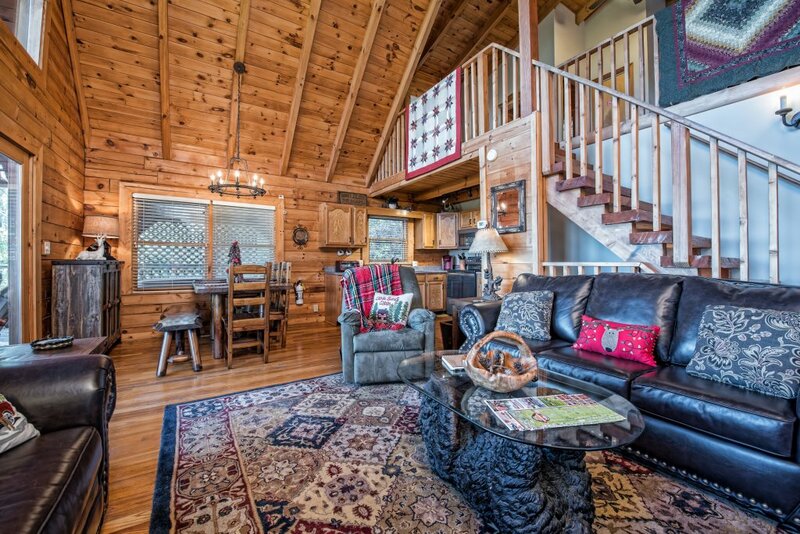 A 3 Br Smoky Mountain Cabin With Great Views, Private Hot Tub, & Gameroom! 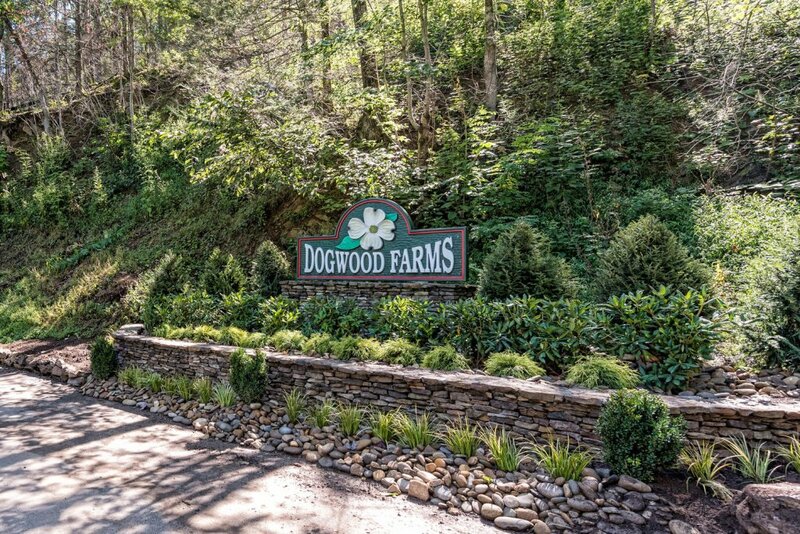 Location Wears Valley/Pigeon Forge in Dogwood Farms Resort. 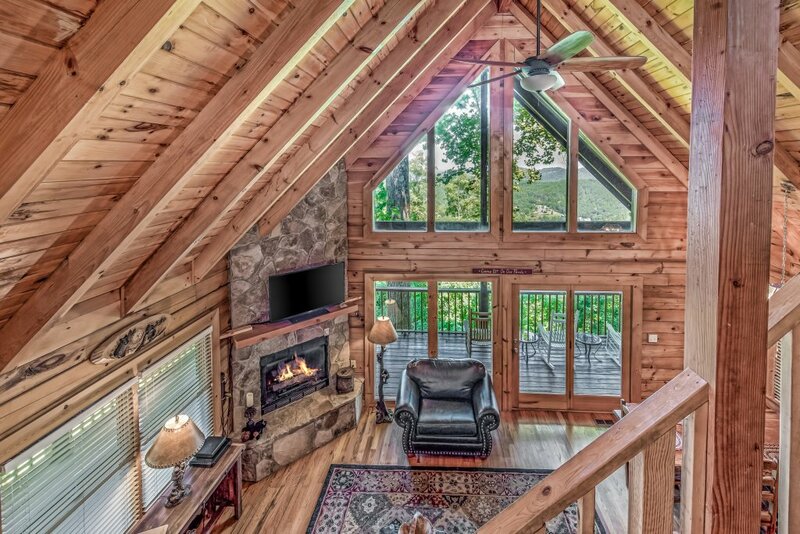 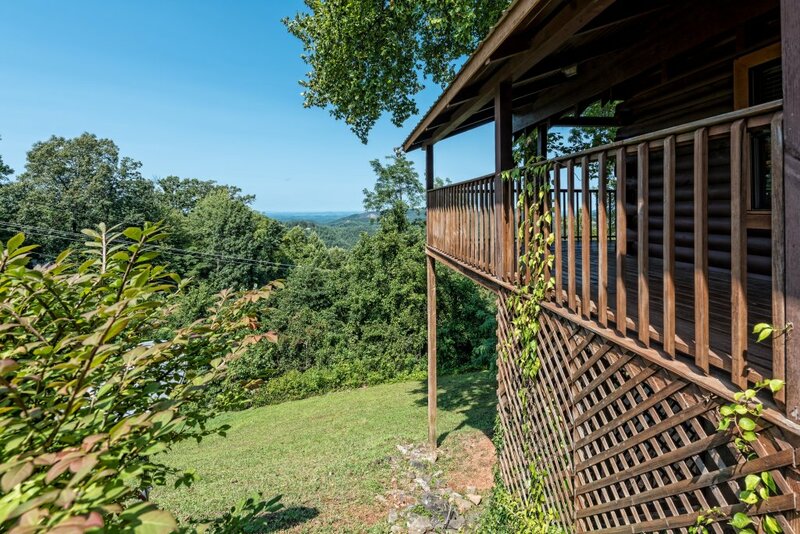 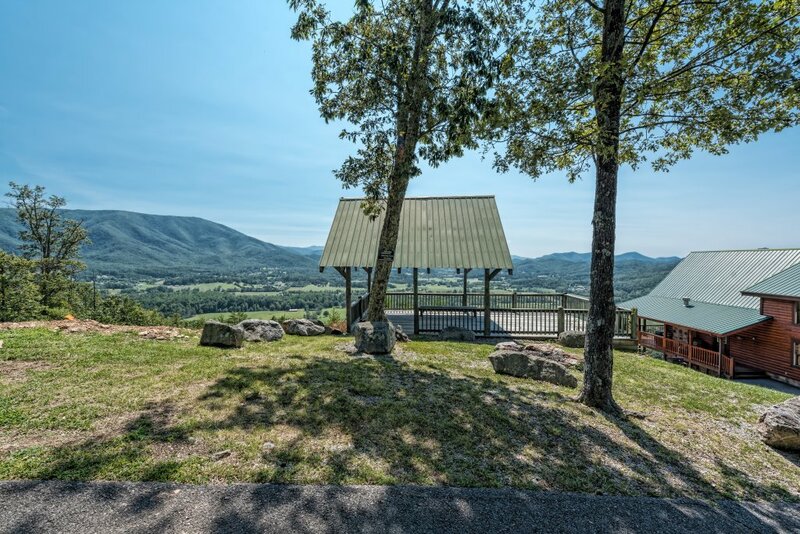 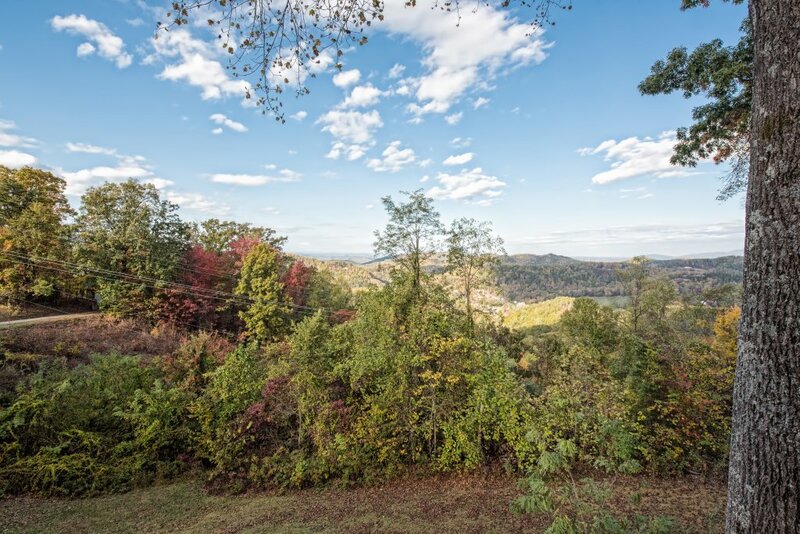 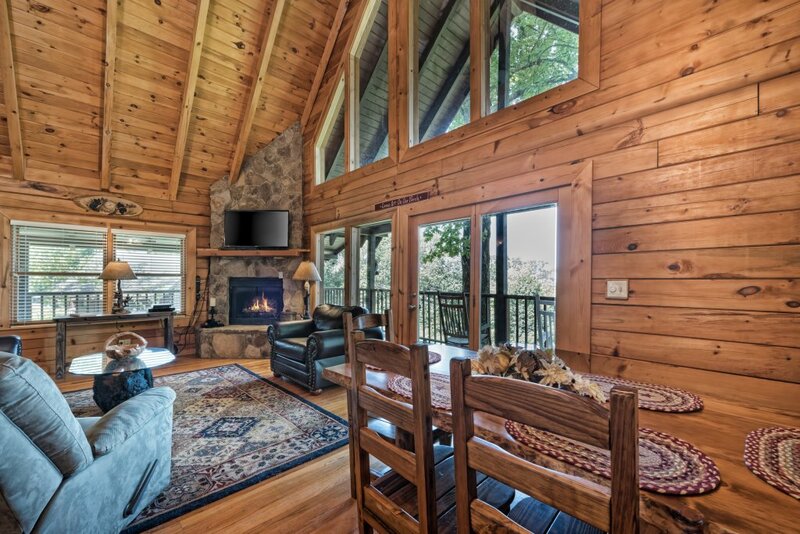 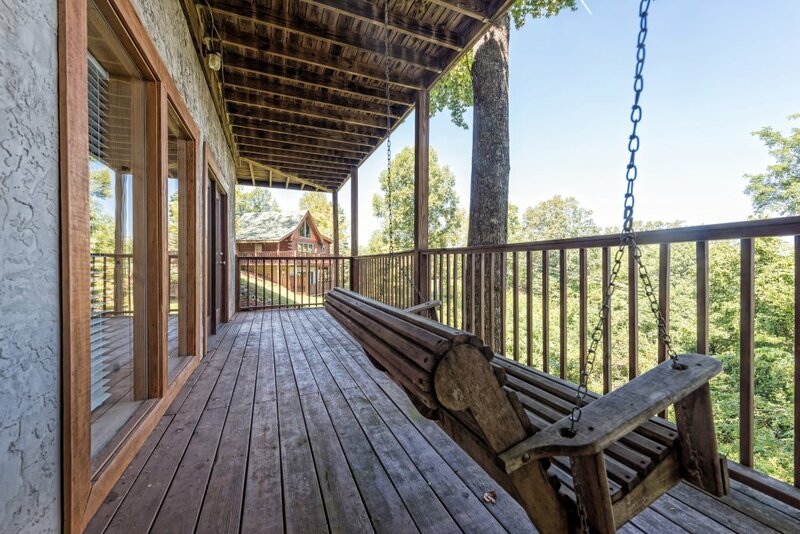 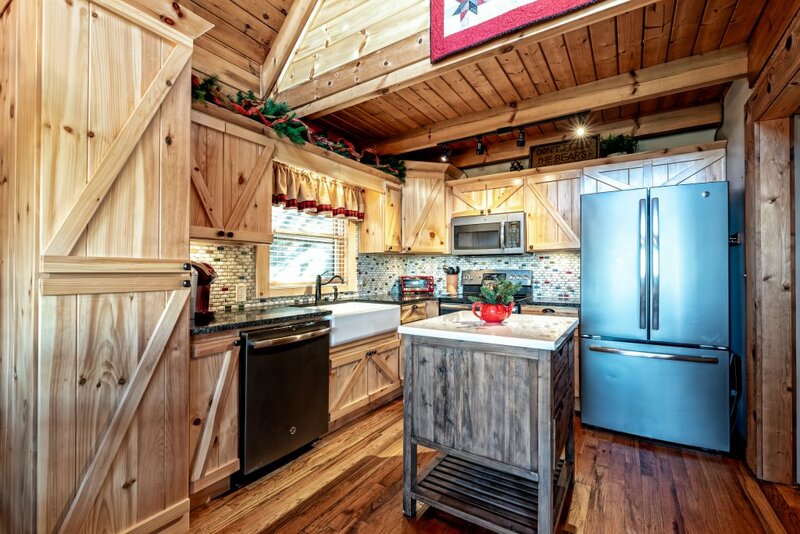 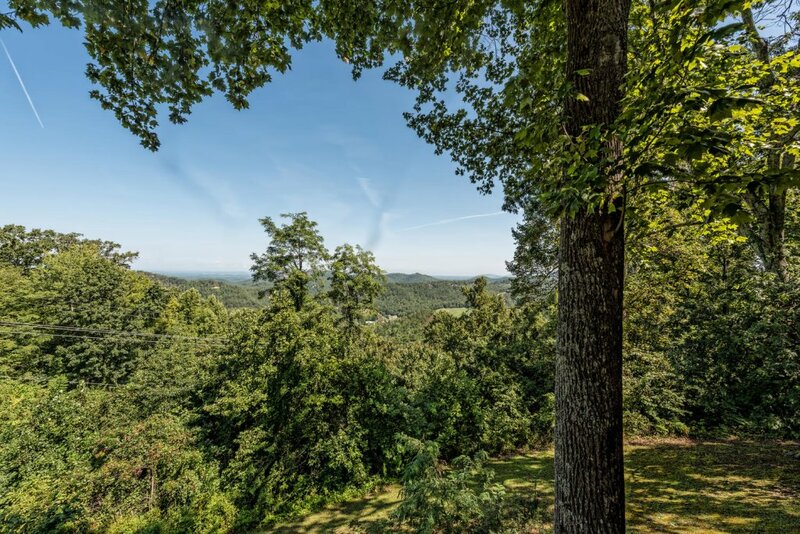 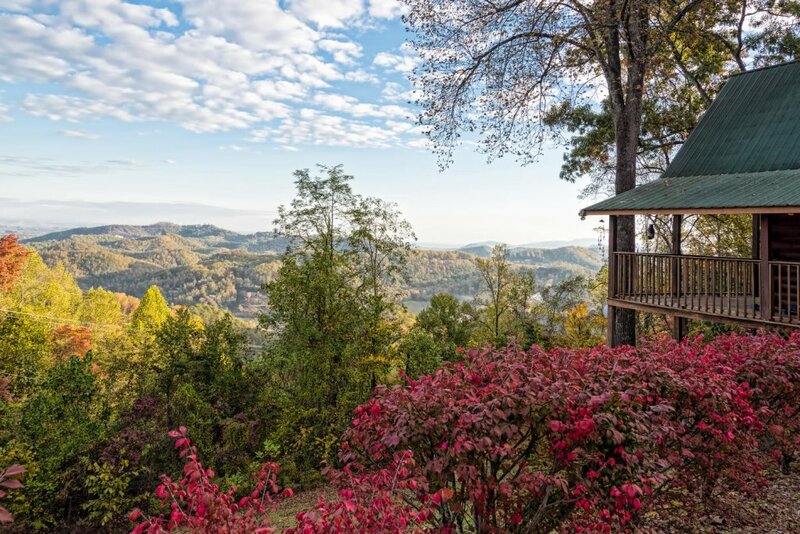 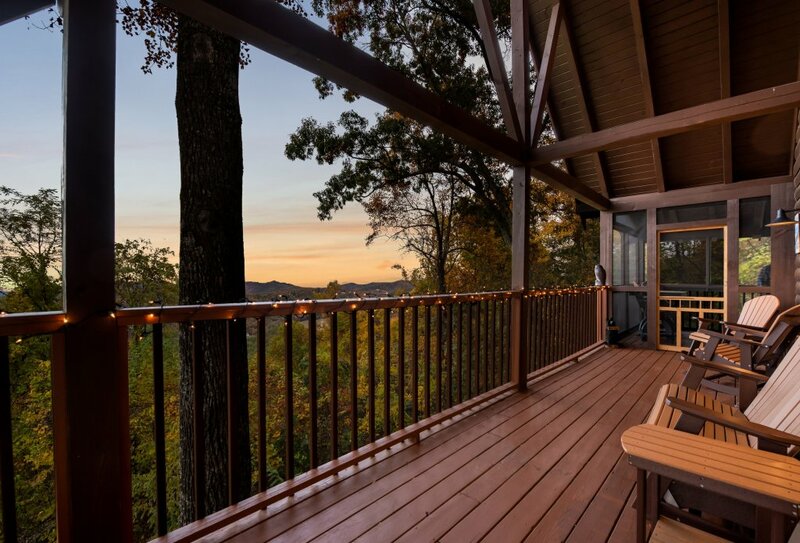 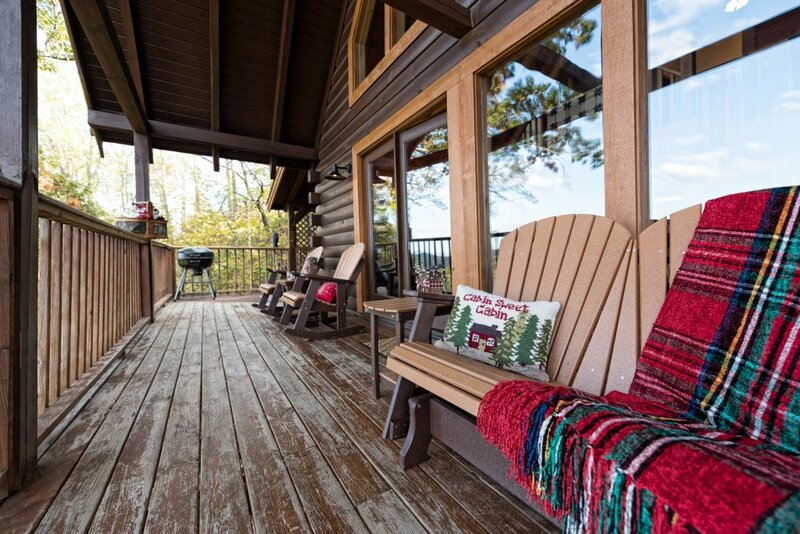 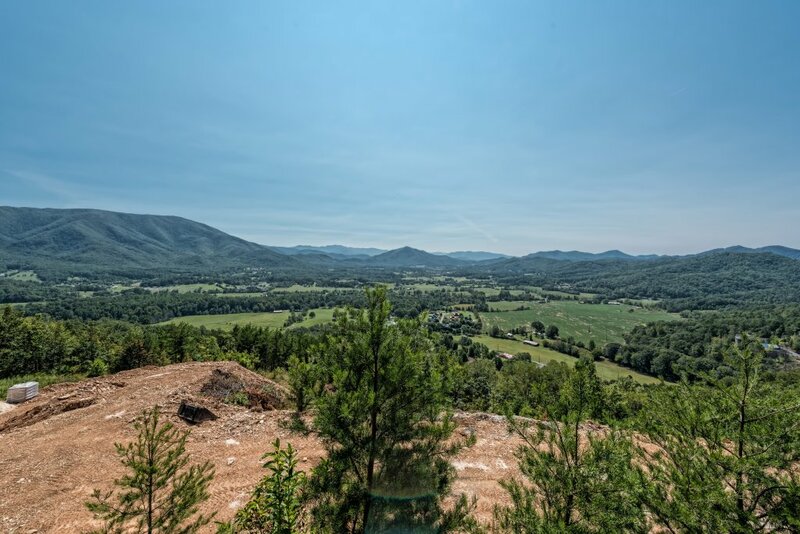 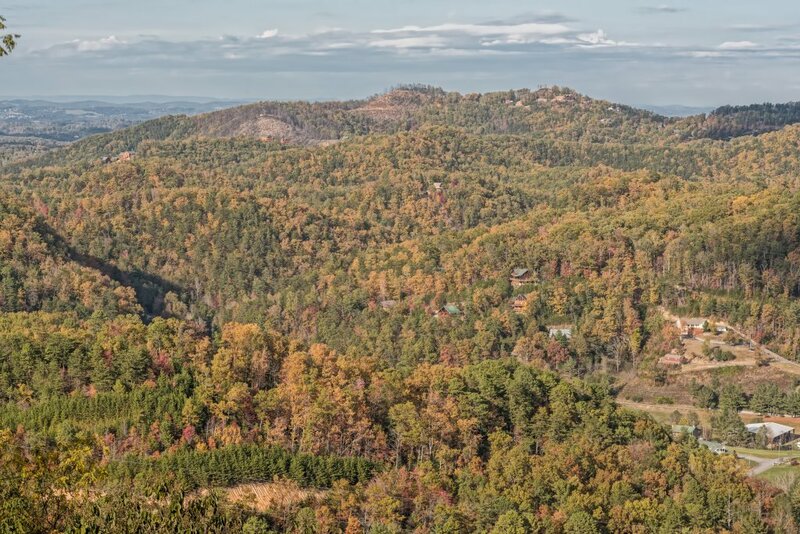 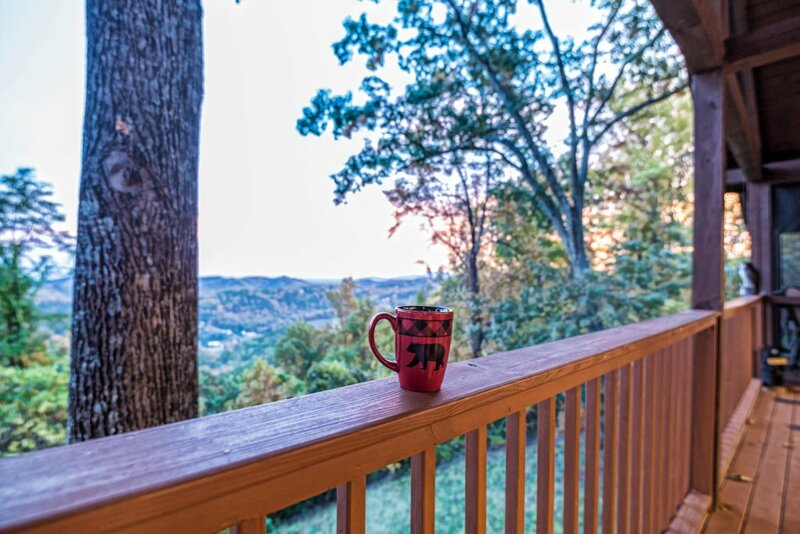 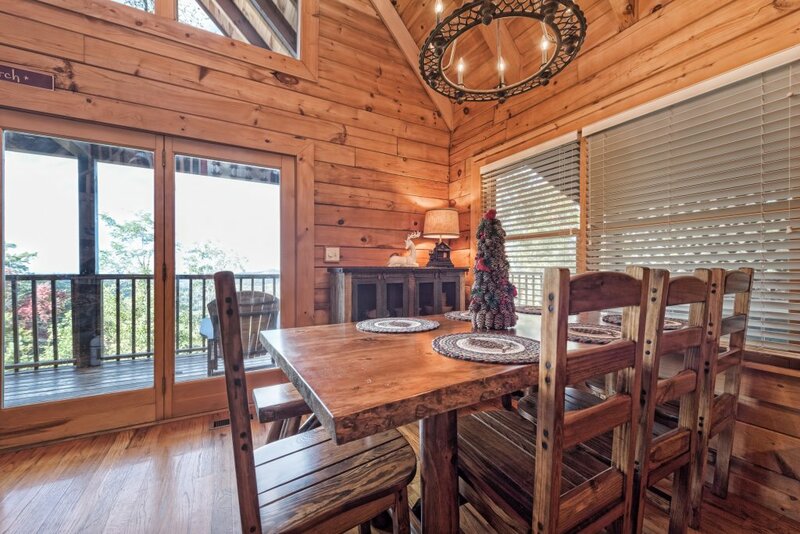 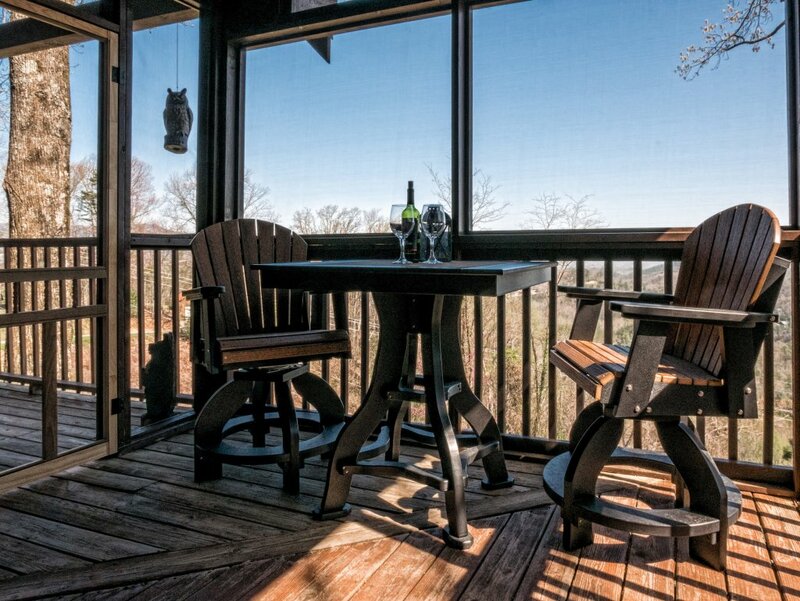 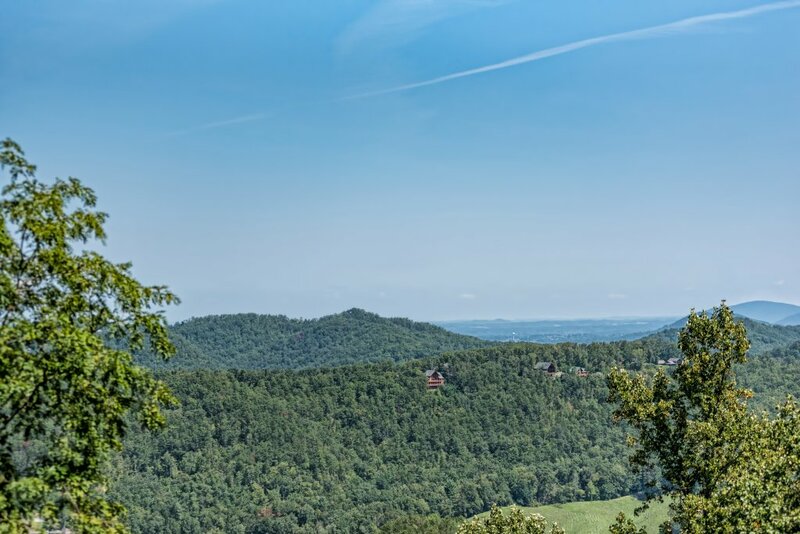 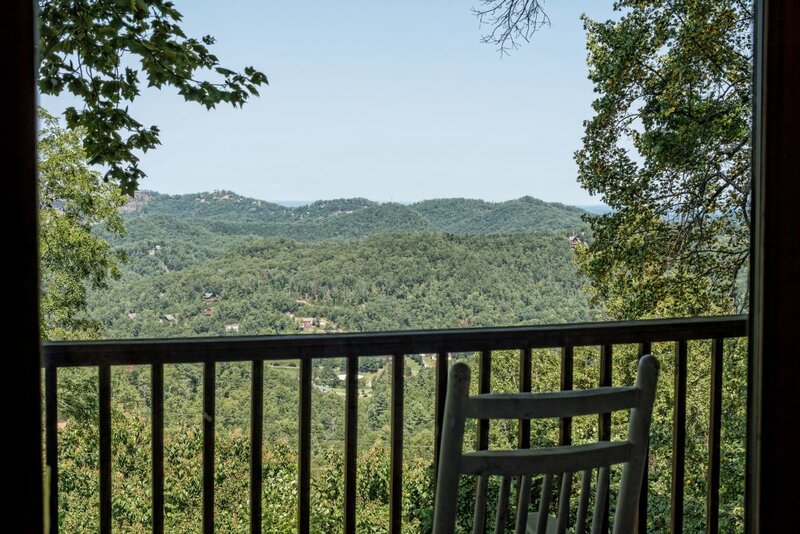 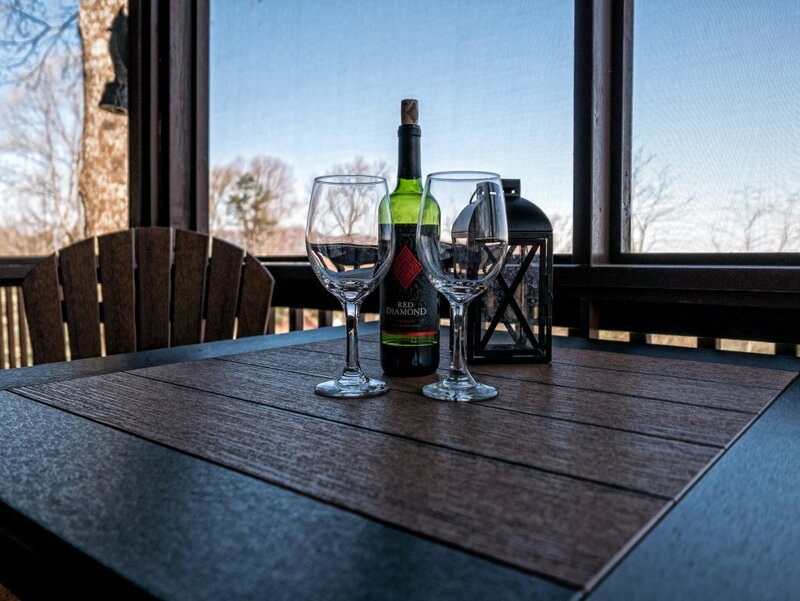 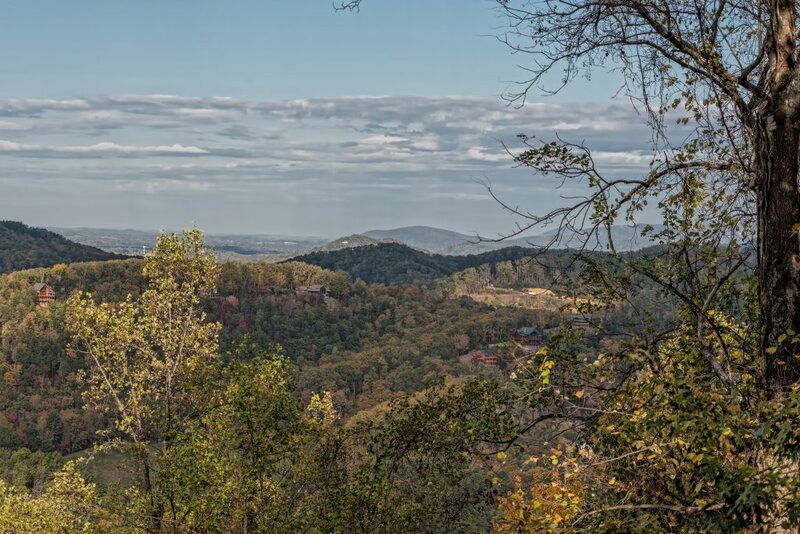 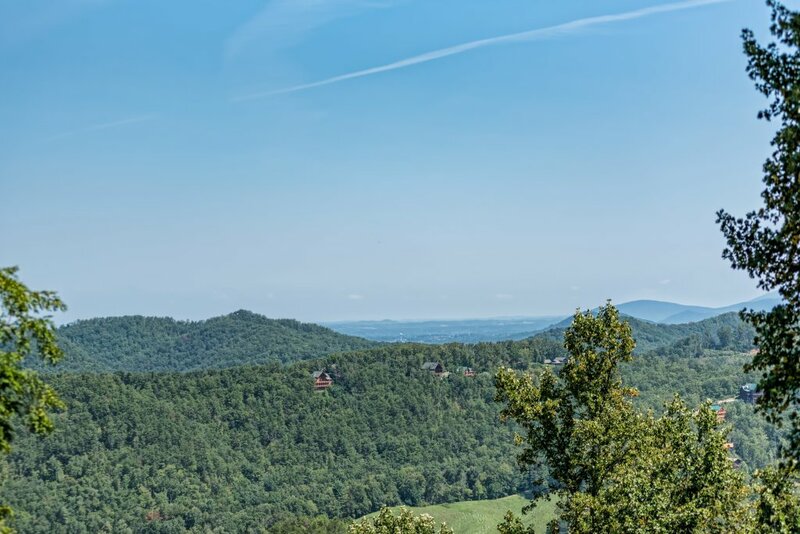 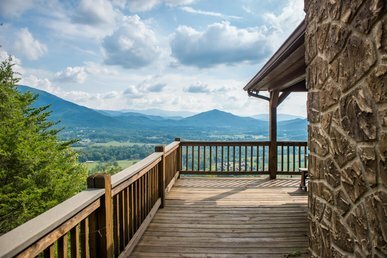 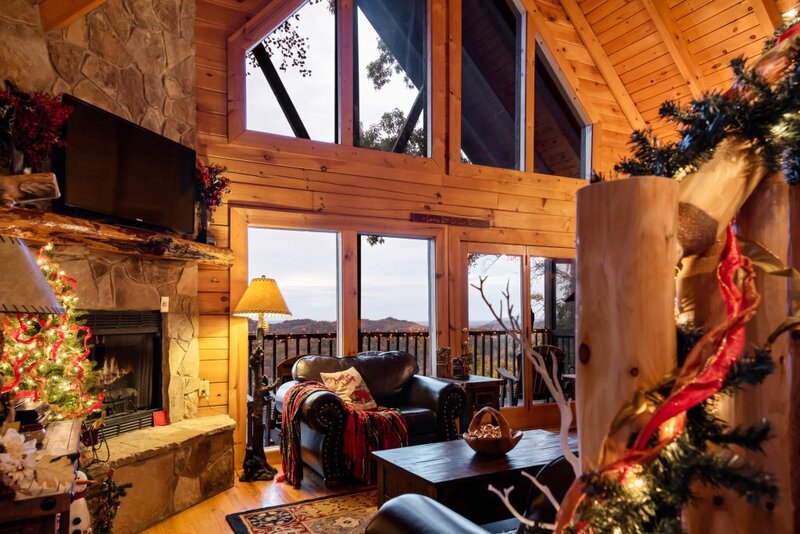 A Wild View Yonder is an incredible cabin located in beautiful Dogwood Farms Resort. 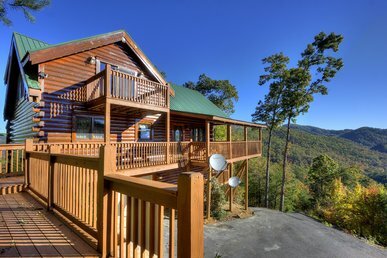 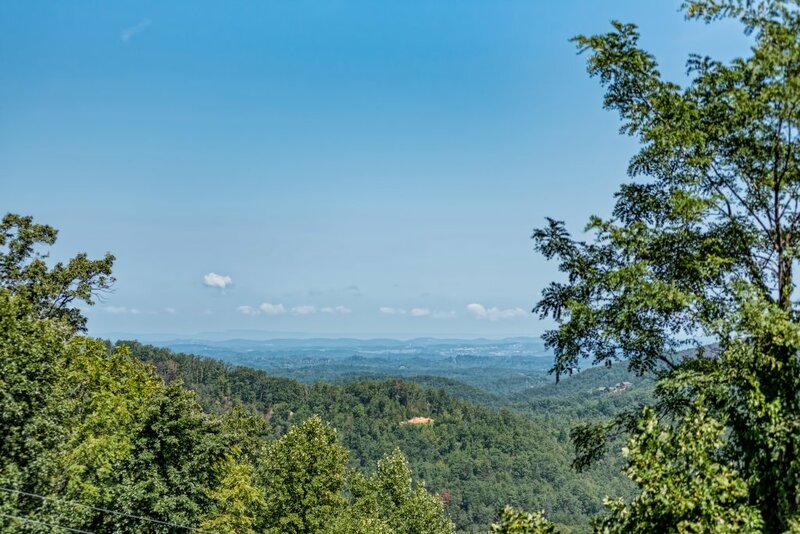 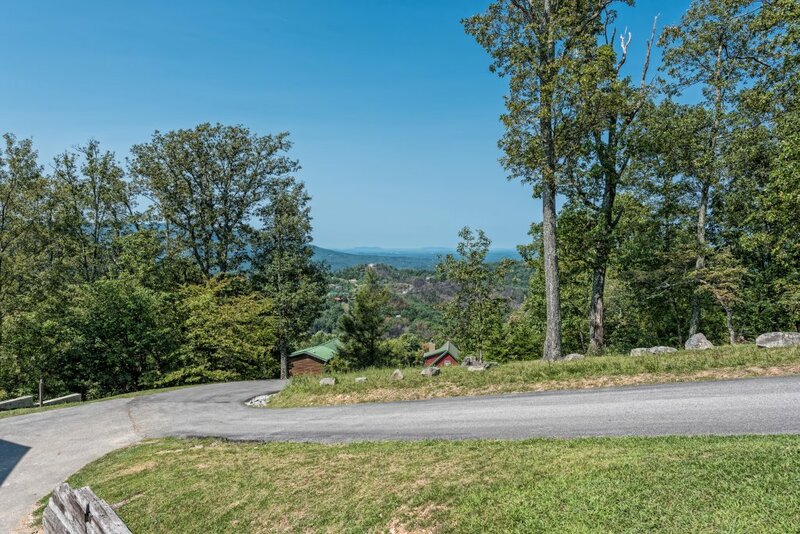 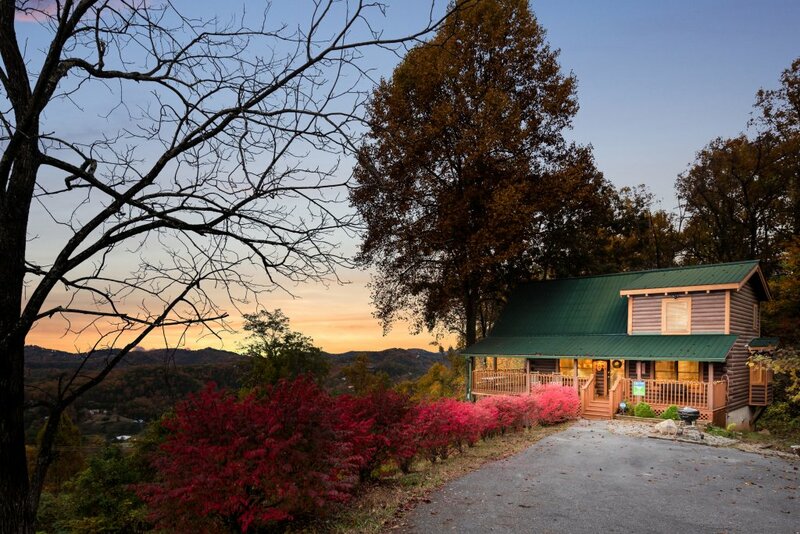 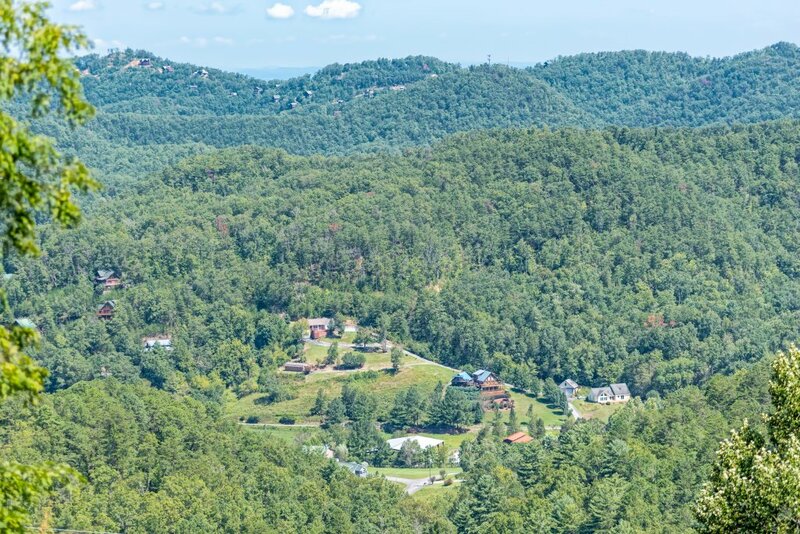 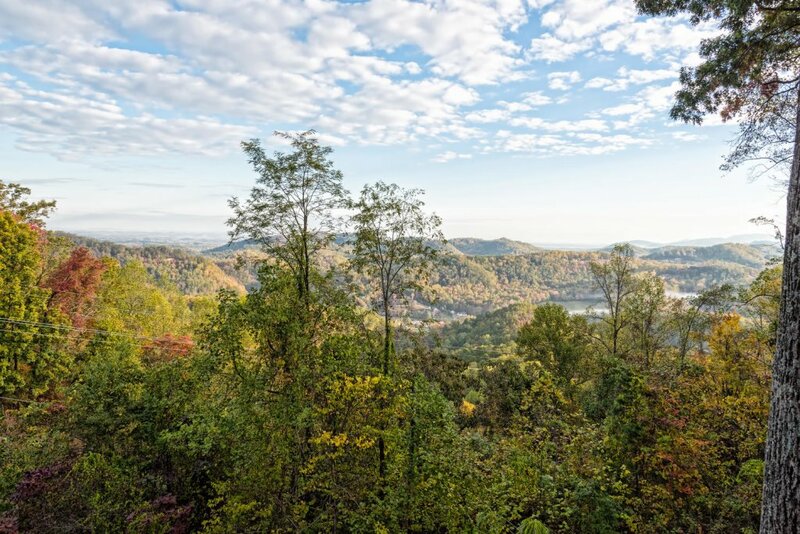 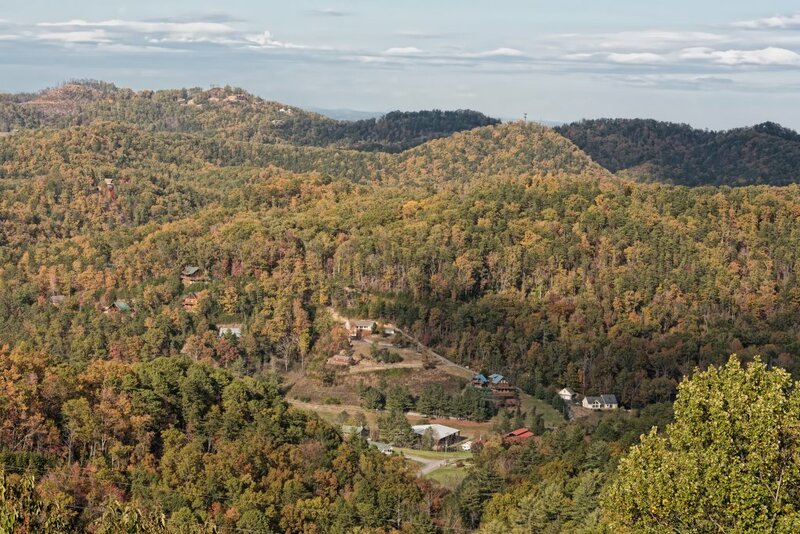 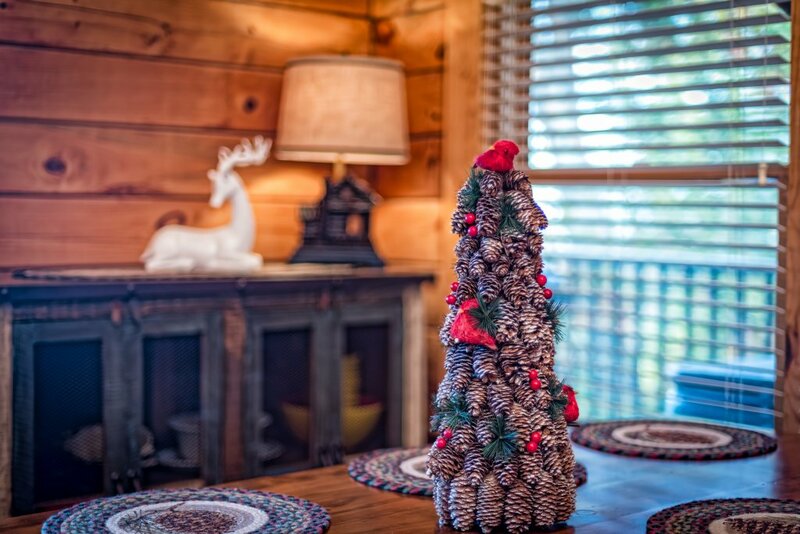 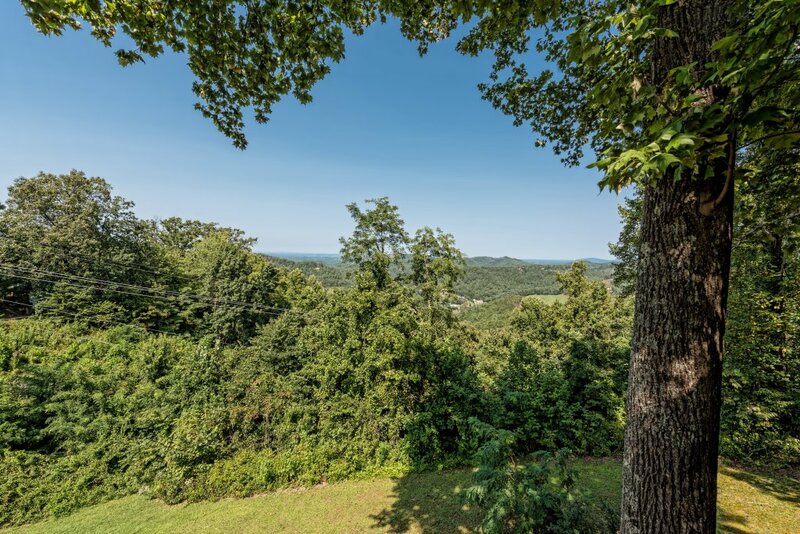 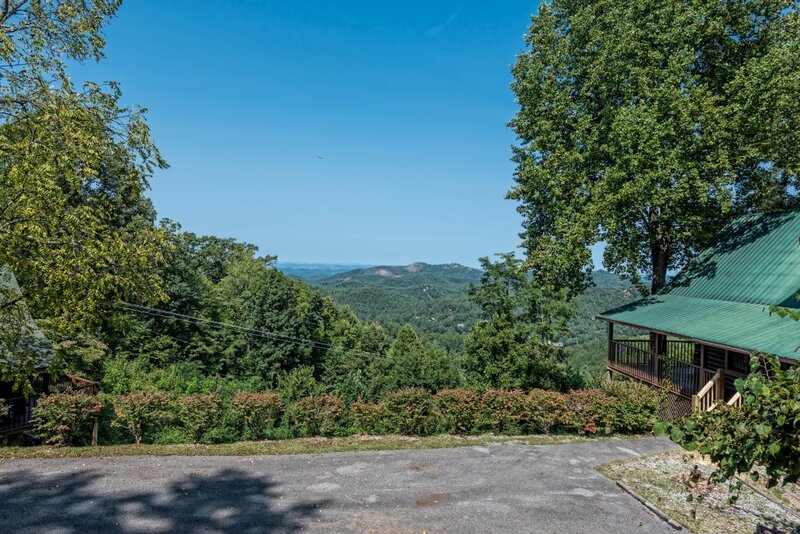 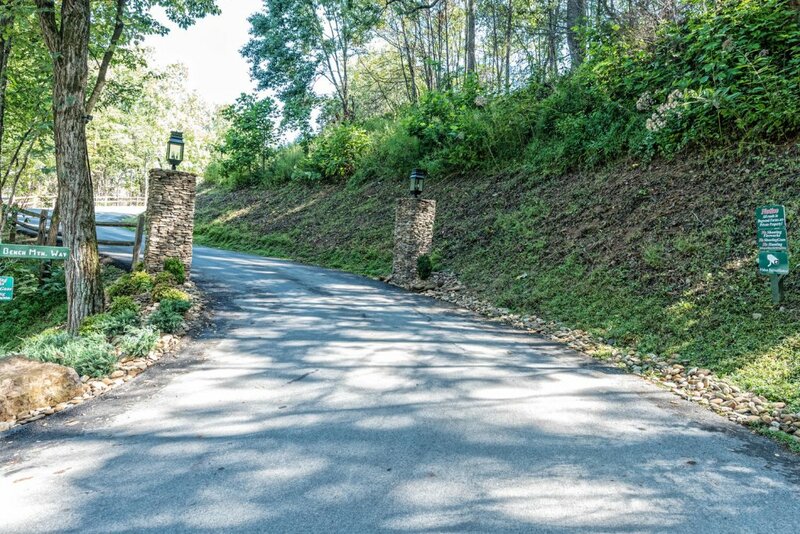 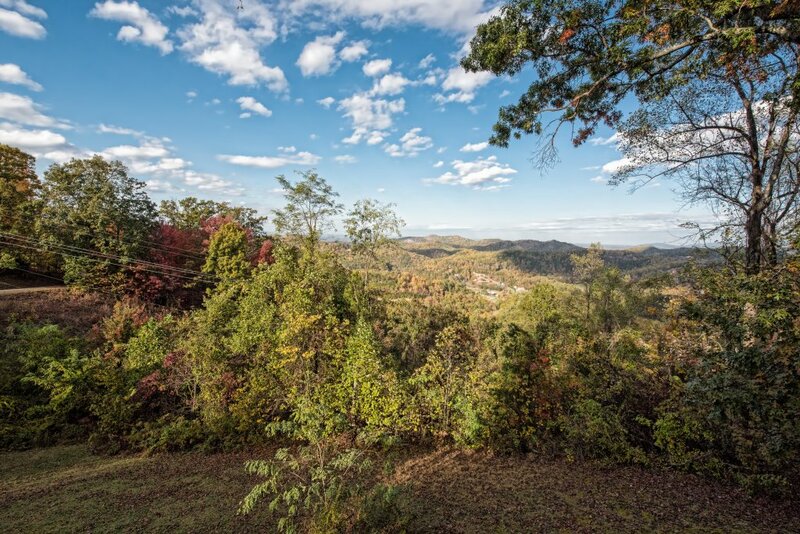 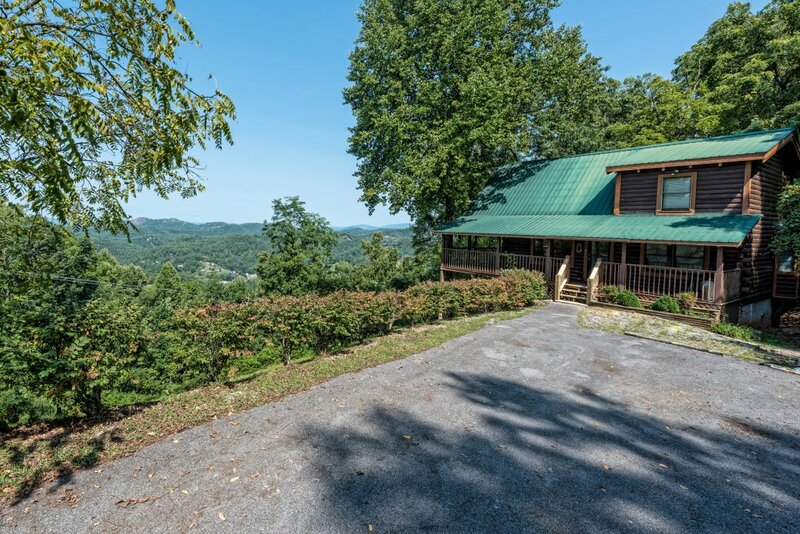 You will have Amazing Wears Valley views and the seclusion of the mountains, while being just minutes from Pigeon Forge. 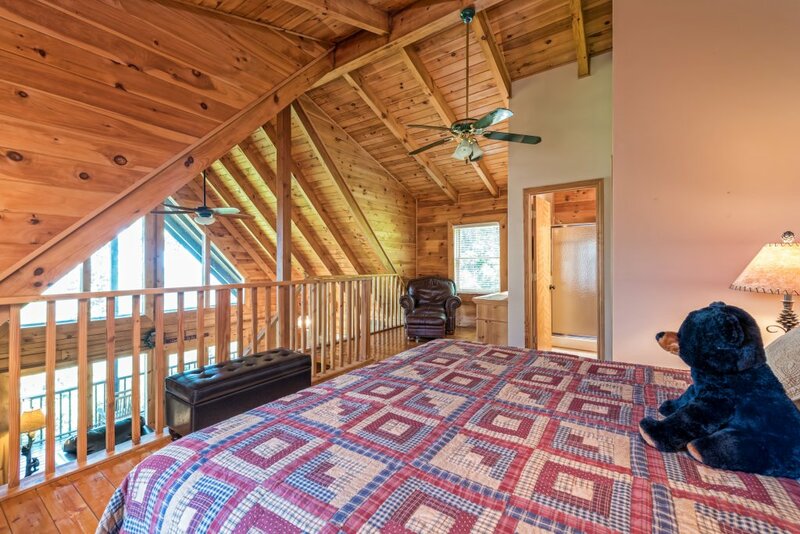 This amazing cabin is perched on a mountain side capturing the most Amazing Views of the surround mountains of Wears Valley. 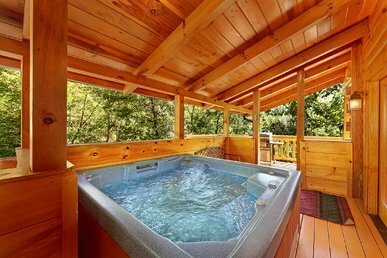 This luxury vacation cabin has wrap around decks facing the view of the mountains with rockers and a covered hot tub on the main level!. 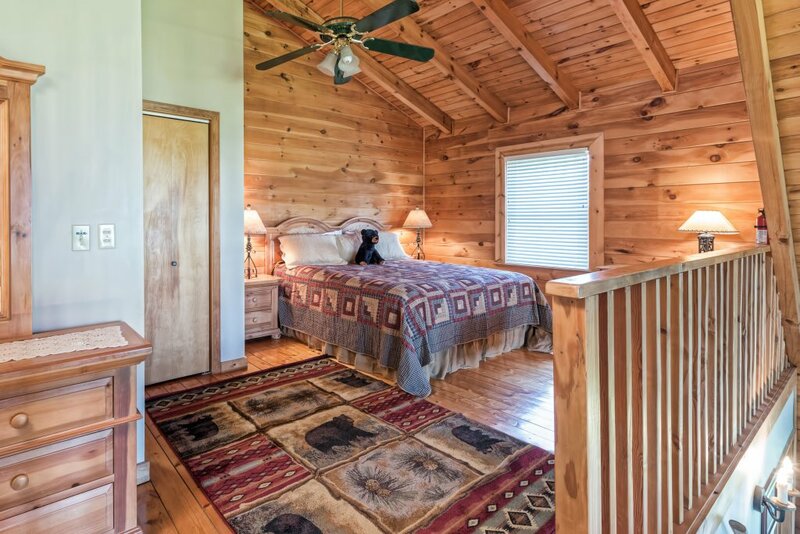 The master suite has a King bed and a flat screen TV with the master bath having a Jacuzzi Tub and a walk in shower. 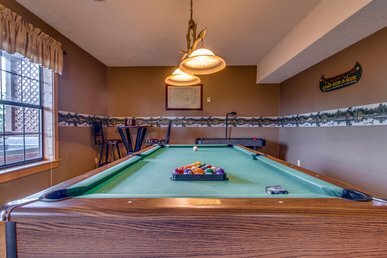 The main living area is an open floor plan with vaulted ceilings, gas fireplace luxury furnishings and a 46" Flat Screen TV! 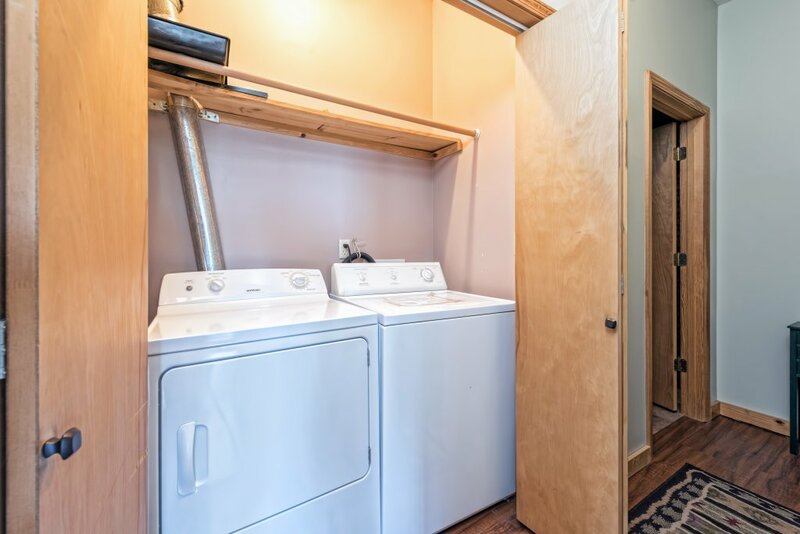 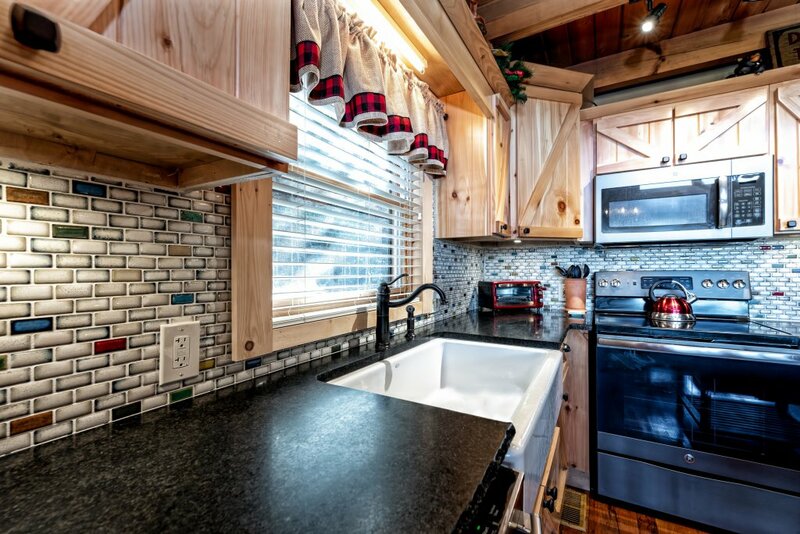 Just off the living area is a fully equipped kitchen with a k-cup coffee maker and adjacent to the kitchen is a beautifully crafted wooden table for your dining pleasure! 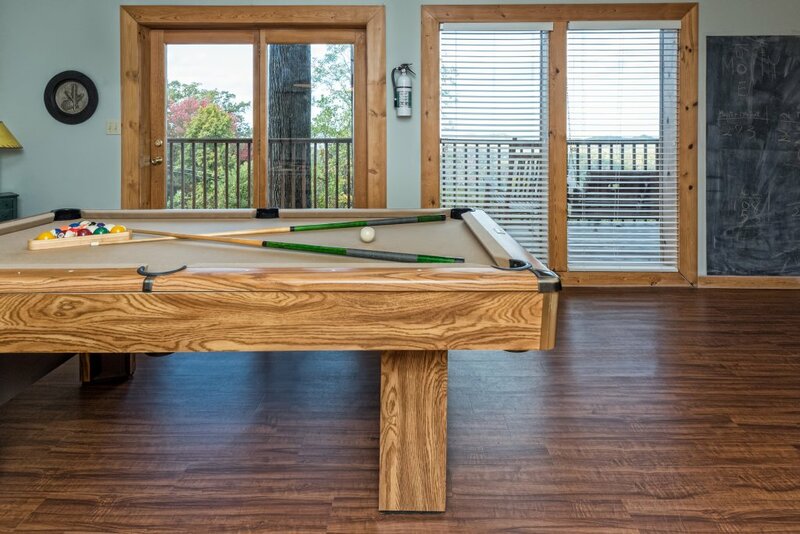 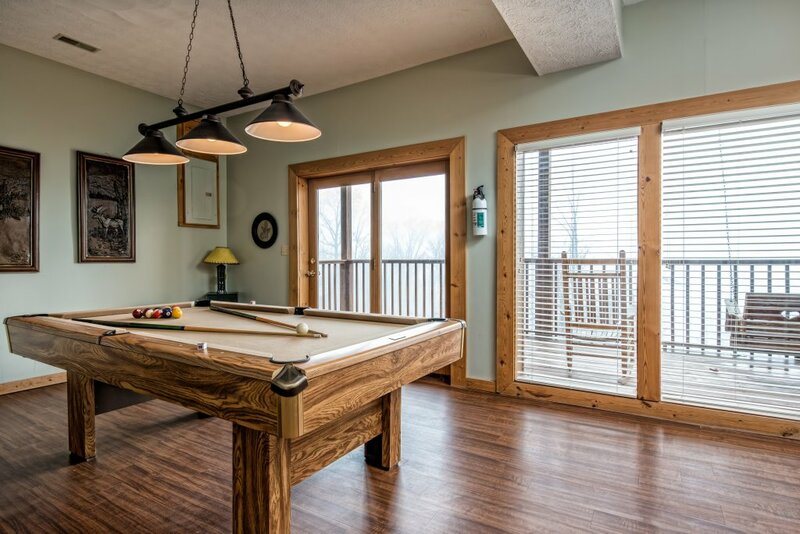 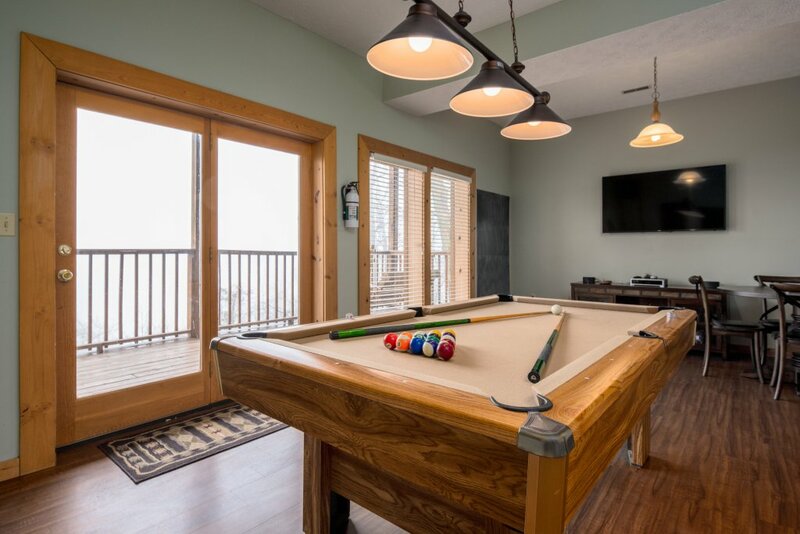 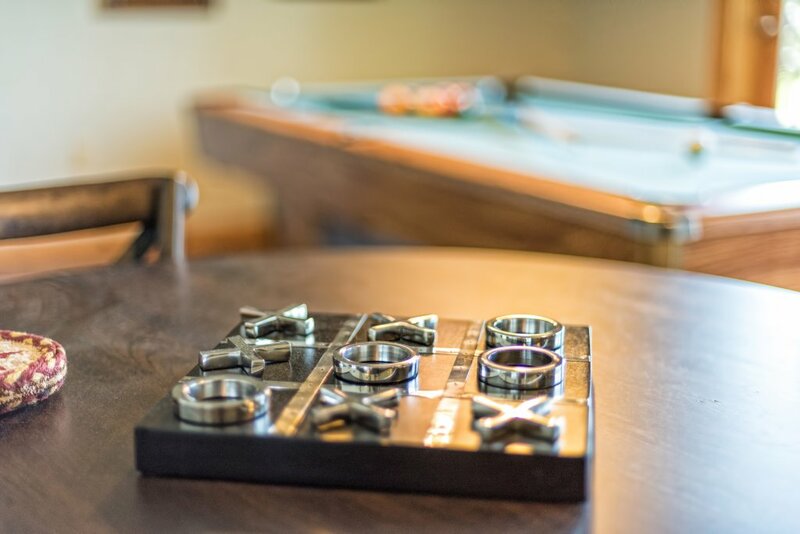 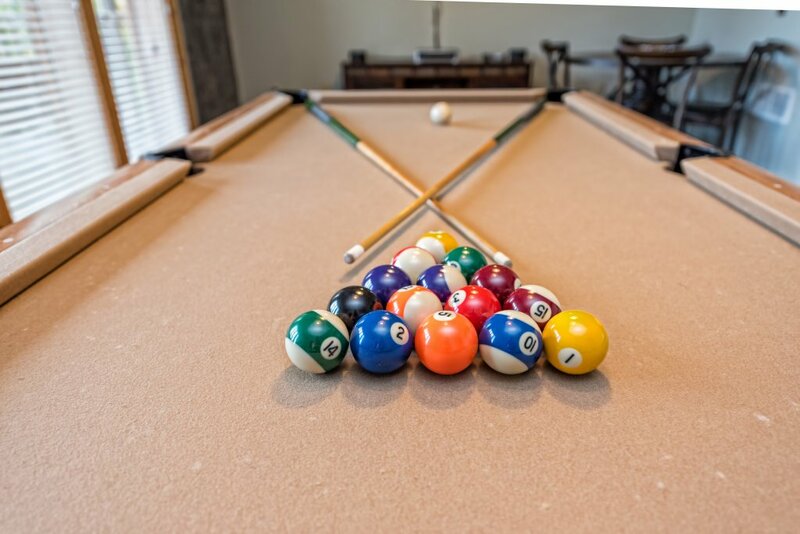 The game room is on the lower level with a pool table, a 2-person multi-cade arcade game, a 54" flat screen and a covered porch area off the game room. 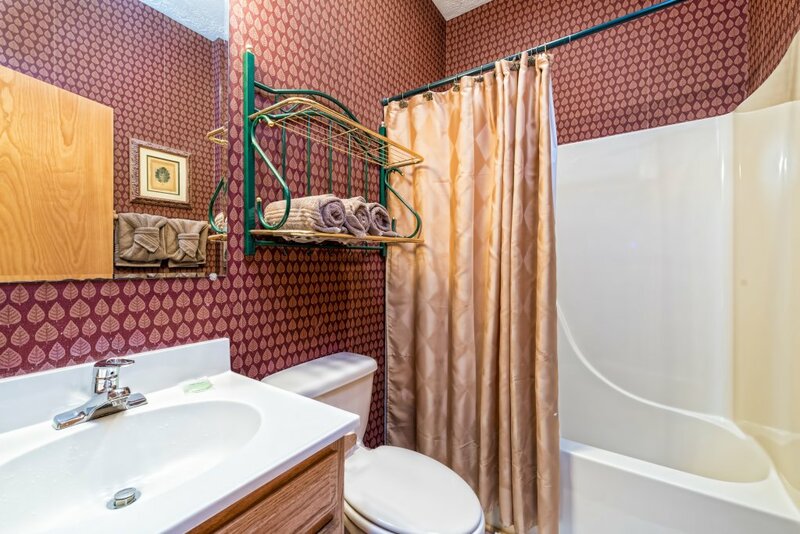 There is a King bedroom with a tub & shower enclosure off this level and the upstairs bedroom offers a King bedroom suite with a walk in shower too! 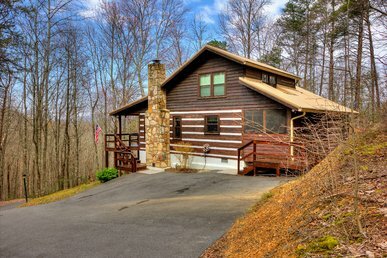 There is seasonal pool access to the Honeysuckle Meadows recreation area and year round outdoor fishing with a private catch and release pond! 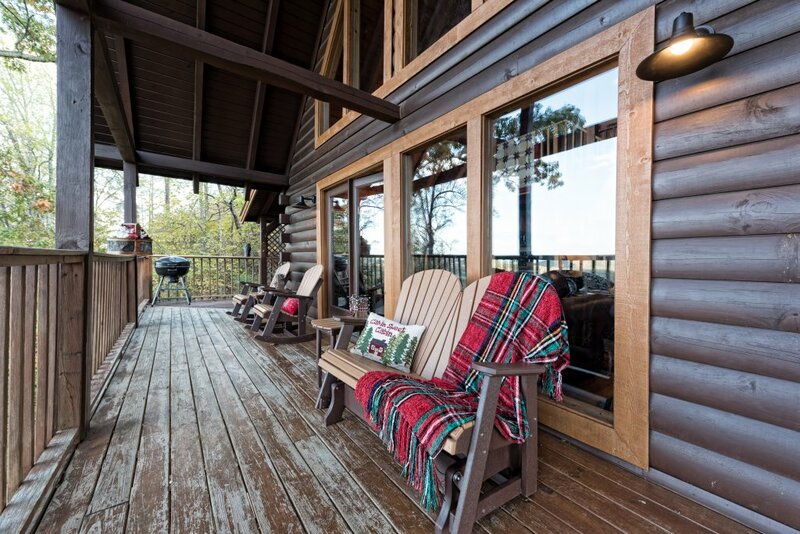 No fishing license required! 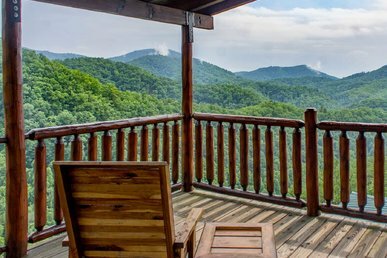 Book A Wild View Yonder and share memories of a lifetime during your wonderful Smoky Mountain Vacation. 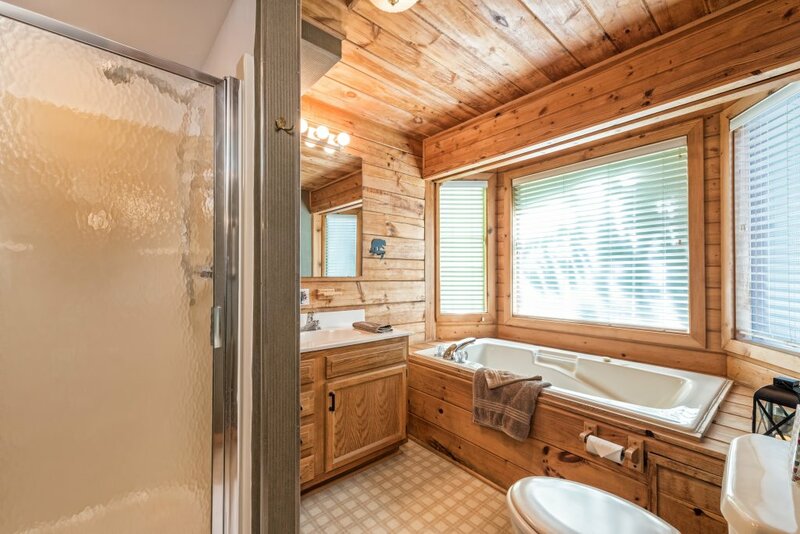 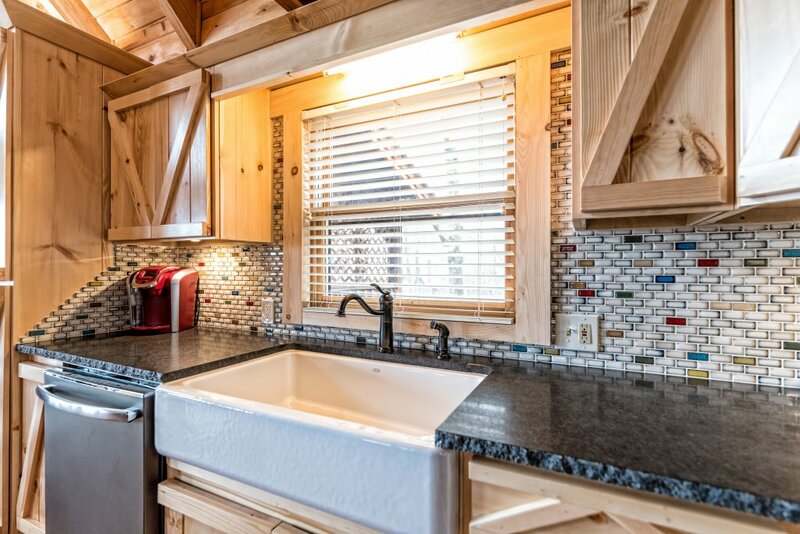 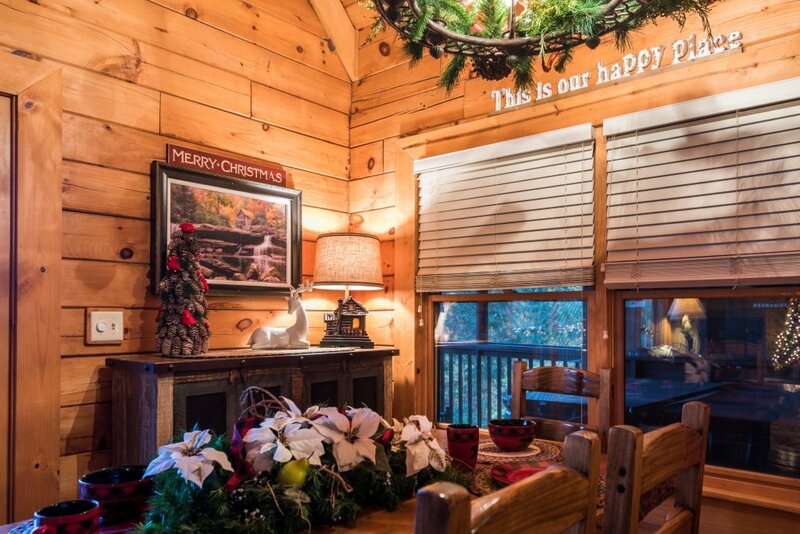 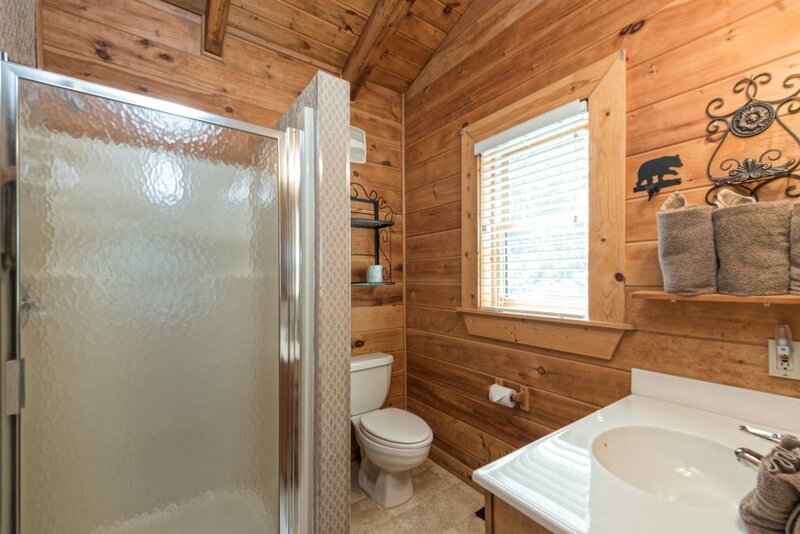 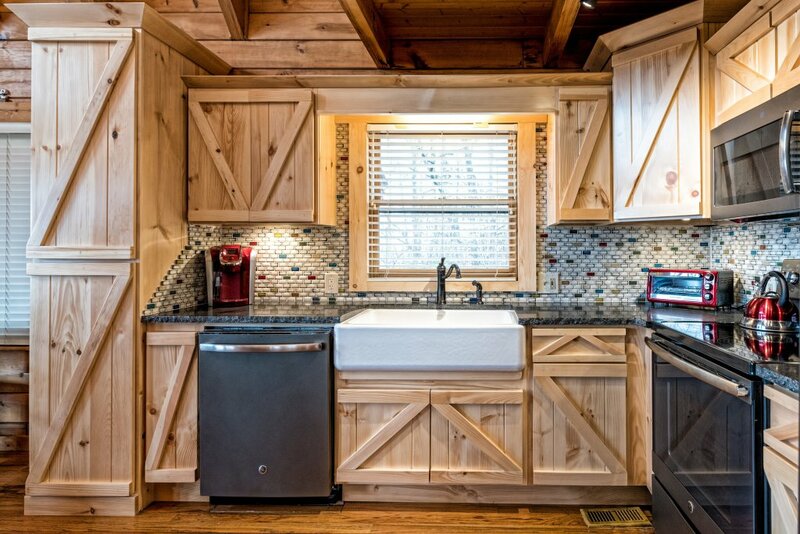 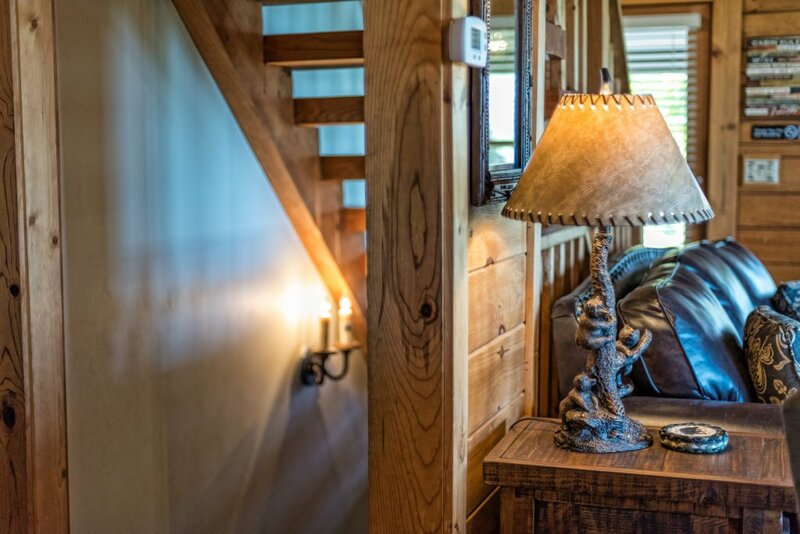 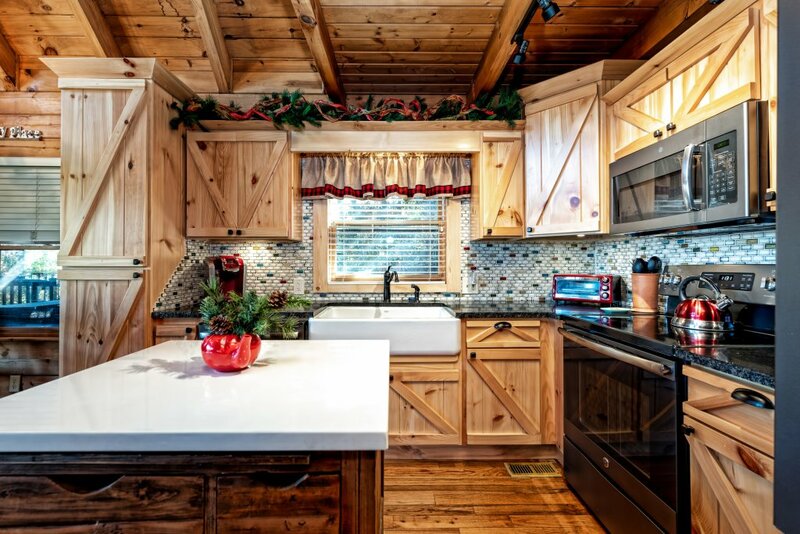 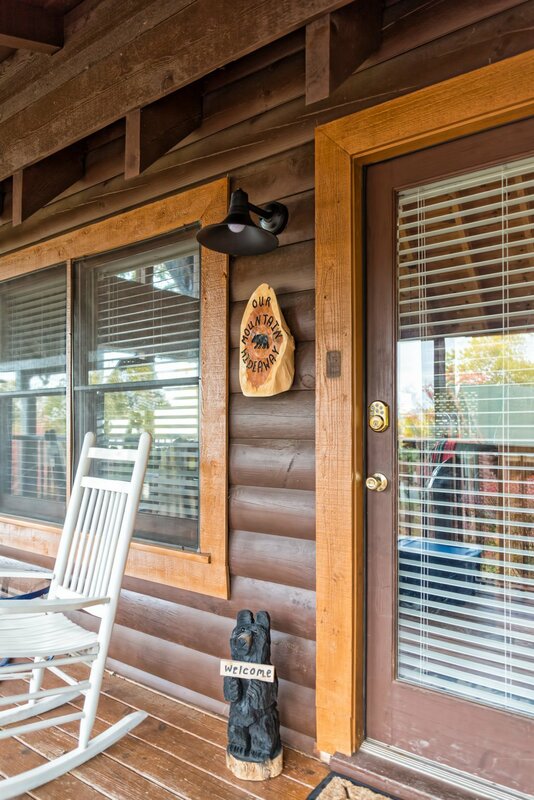 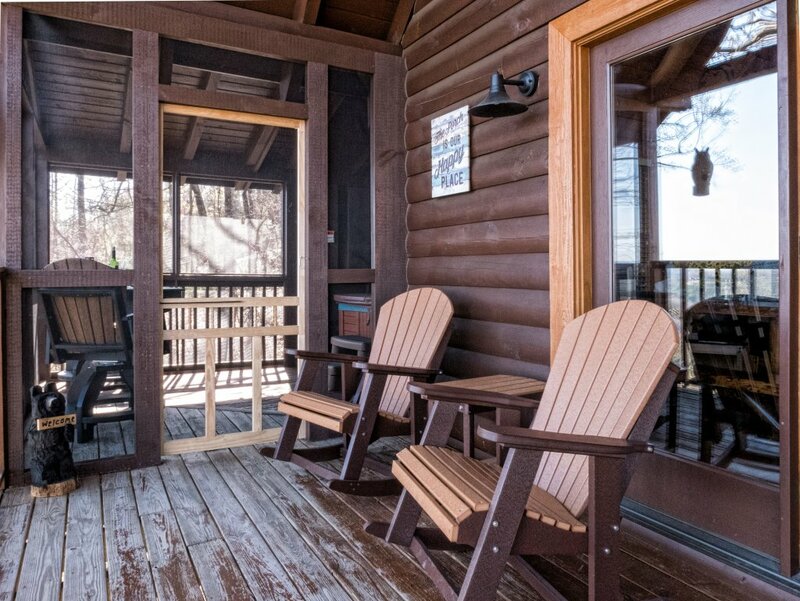 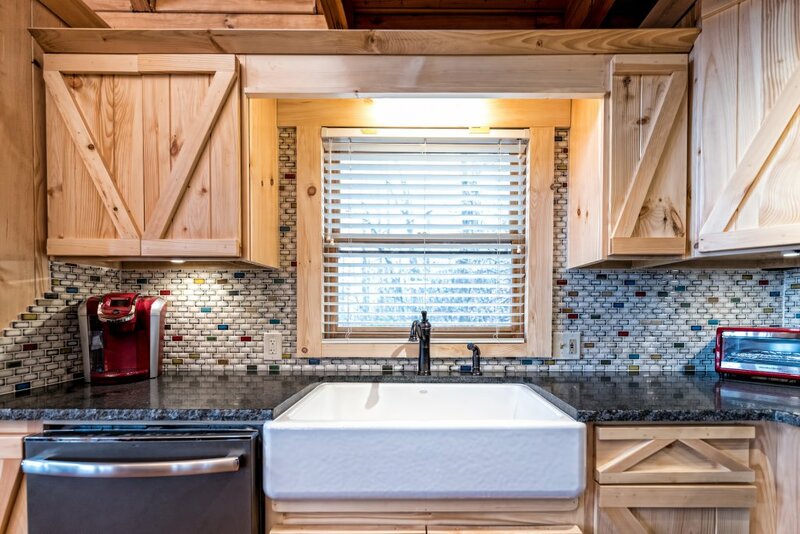 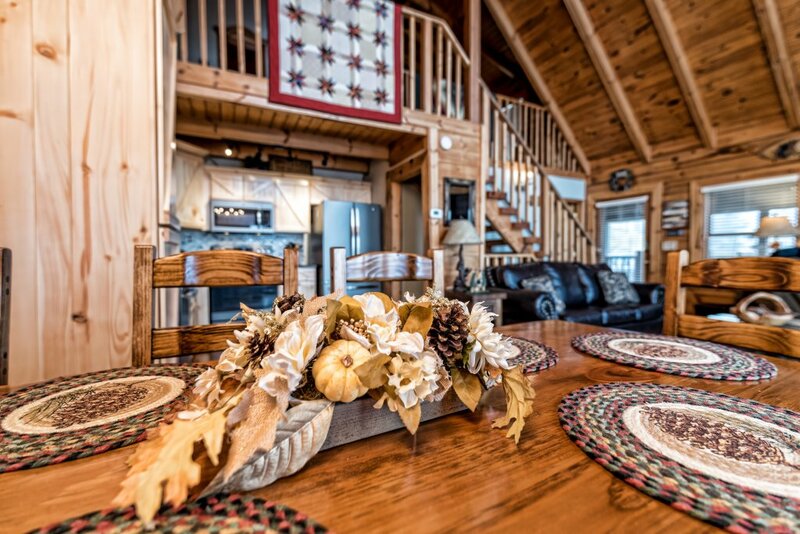 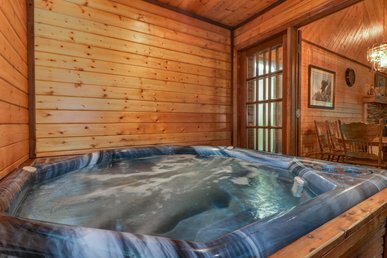 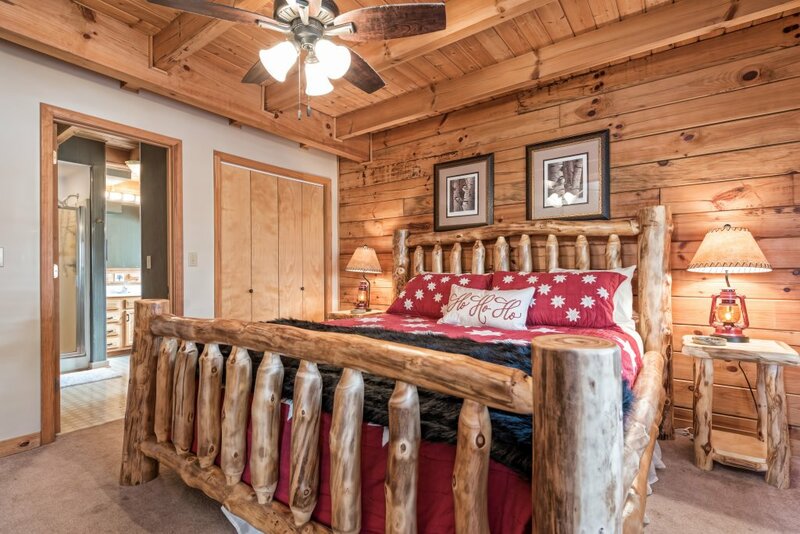 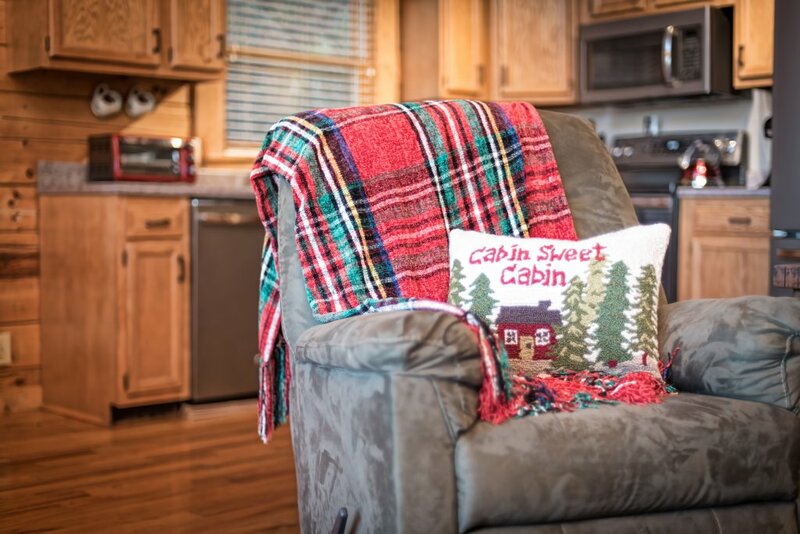 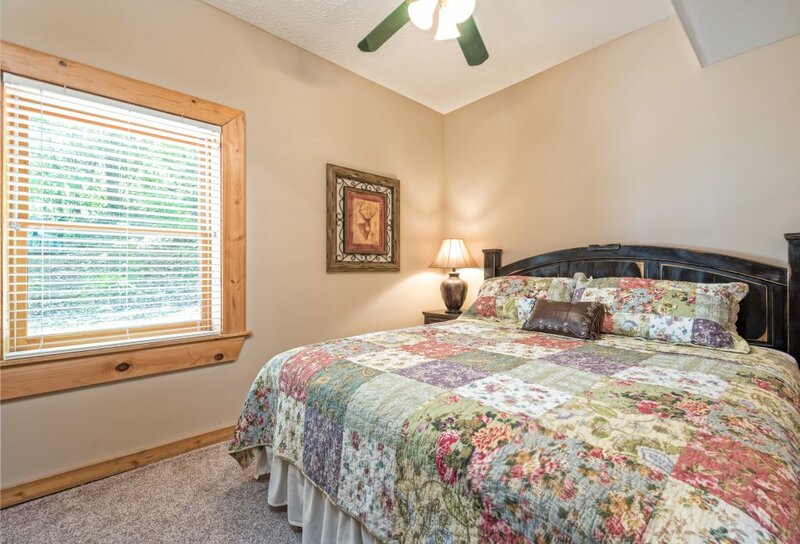 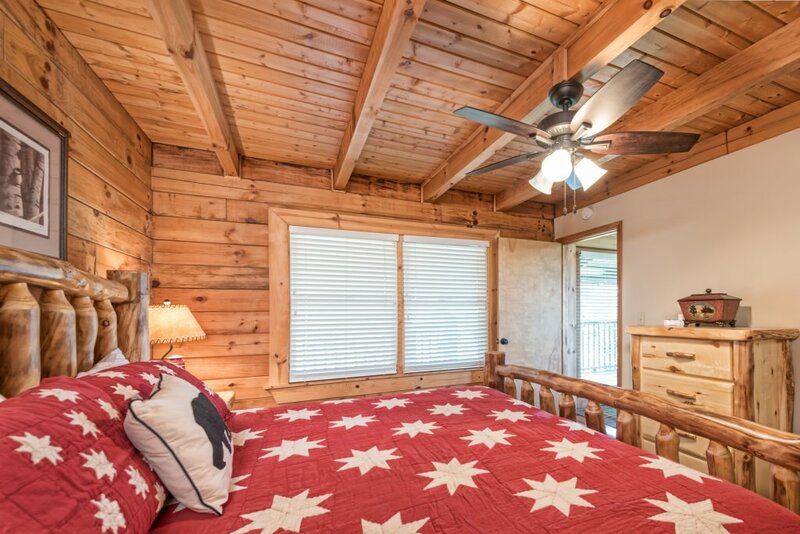 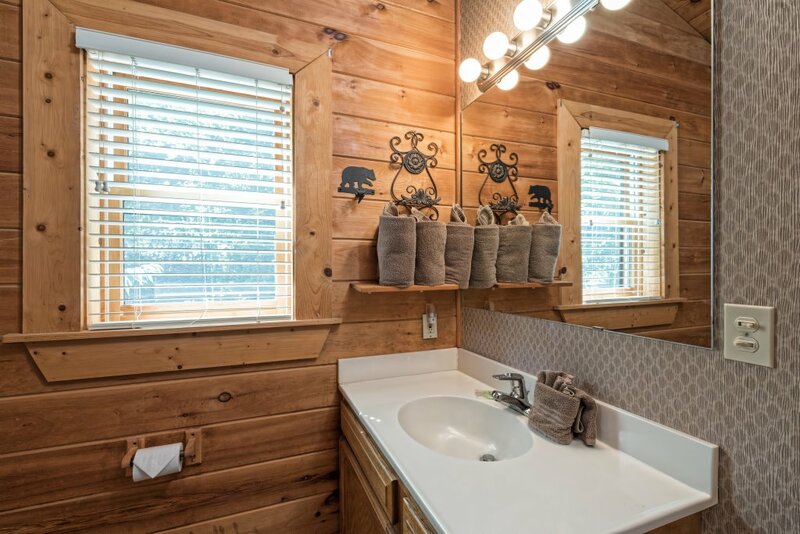 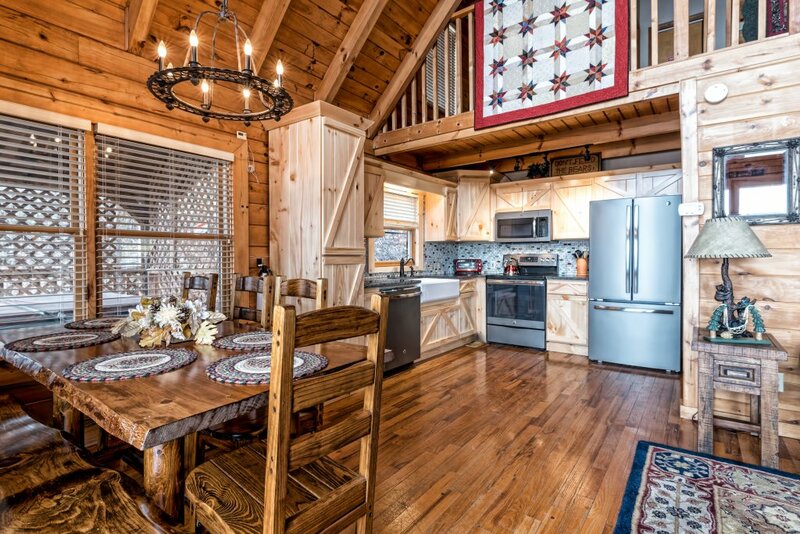 Book early as this cabin offers space, amenities, comfort and privacy! 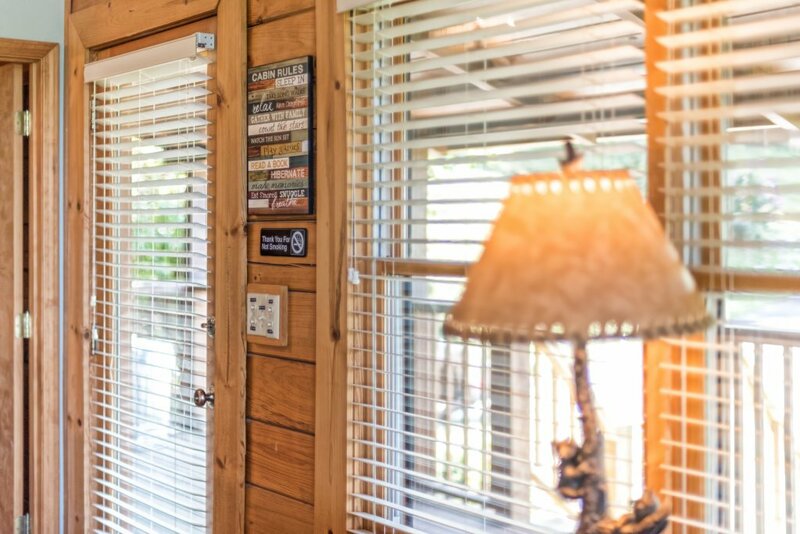 Sorry, No smoking or pets allowed. 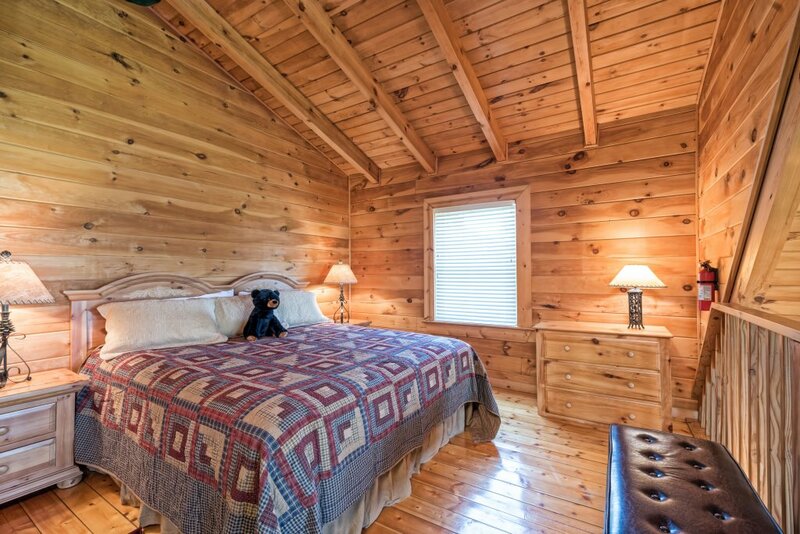 Priced is based on 6 adults, each additional adult is $12.50 per night. 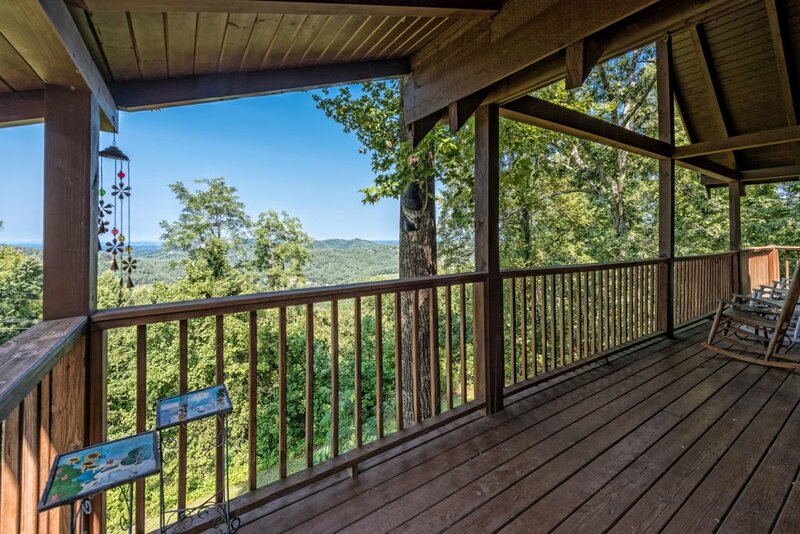 Book "A Wild View Yonder" #337 Today!